If you're looking for a perfect idea to stockpile survival gear, then check out the below mentioned comprehensive guide. Survival gears are must to combat the emergency situations and natural disasters. But people do not know what to stockpile and how? So, I have given the solution below in this guide, that will prove to be an ultimate guide for you. There are many types of equipment that definitely deserve a space in your bug out bag (BOB) because essential equipment can prove to be a perfect life saver in almost all emergency situations. For perfect managing of your gear, the first thing that is really important is a good bug out bag, before heading out, you should definitely buy a good and strong bug out bag. A Bug Out Bag is one of the most significant things that you can take with you while going to get a survival in an emergency condition. It can help as well as protect you and your family in the situation of catastrophe. Always remember that the best bug out bag should be light, no more than 25% of your body weight because the heavy bag can limit your ability. Plus, include all the important gear that will help you to get through for maximum 4 days. The most important thing that highly needs to understand is to build your bag according to the region, weather, and climate. I am going to introduce you with the most important survival gears below, that should be prepared for emergency conditions. You can choose the items according to your personal choice and needs. Building a fire is the most significant part to survive in extreme conditions. It can help you to cook meals and get warmth and light. Here, I have mentioned maximum ways of building a fire just for convenience, so that you guys can choose the best way accordingly. But be sure to build a fire in the rocky and sandy places, just to avoid the forest fire. Building the fire with waterproof matches is the easiest way as compared to other ways. 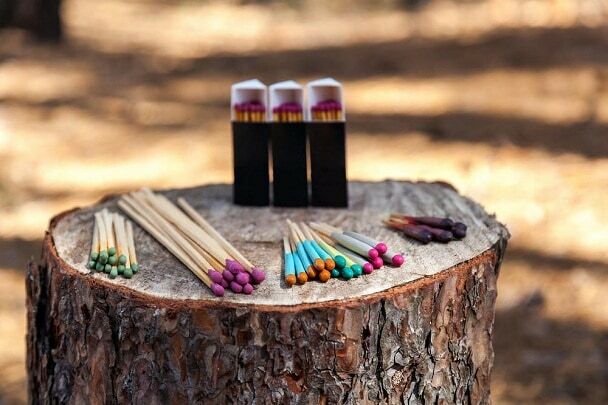 Disposable waterproof matches are extremely important to keep in your fire kit as it can help you build a great flame within a few seconds. And by dipping the matches in the nail polish you can make them waterproof and then store the matches in a waterproof box. Also, make sure they are kept dry. You can easily keep them into the convenient pockets of your Fire Kit as a perfect survival gear. The 2nd most important tool that you should definitely include in your fire kit is a Lighter. It makes lightening the fire easier in any emergency situation. It can work for a long time and can build up the fire quickly. Always get a windproof and a waterproof lighter. The 3rd most important tool that you should keep as a survival gear to ignite the fire is Scraper and Firesteel. It is necessary to include the Scraper and the Firesteel in your fire kit because when matches or fire starters get ruined, then it helps start the fire quickly. It is a piece of strong metal, usually, it is of steel and magnesium; it creates a huge flame when you usually run the scraper down the tube. 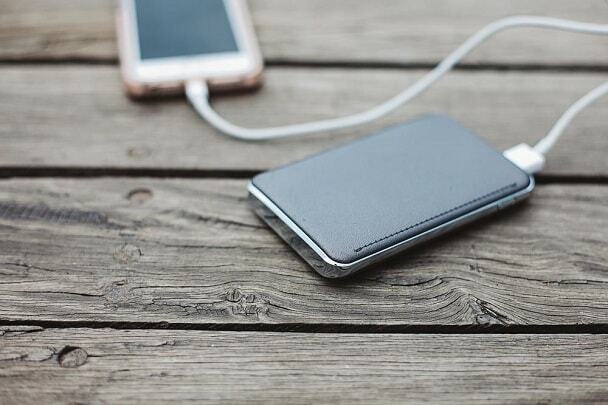 You can easily keep it in your pocket and instantly use it in any emergency situation. 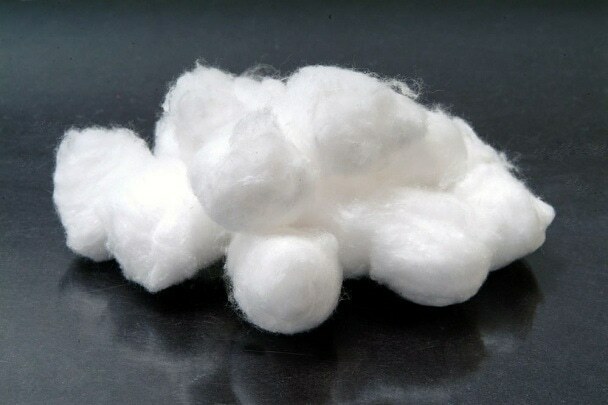 Vaseline Cotton Balls are also an option to consider to ignite the fire because Vaseline is oil based and also waterproof, it works nicely, and it is a wind resistant item. Additionally, it ignites with just a little spark. 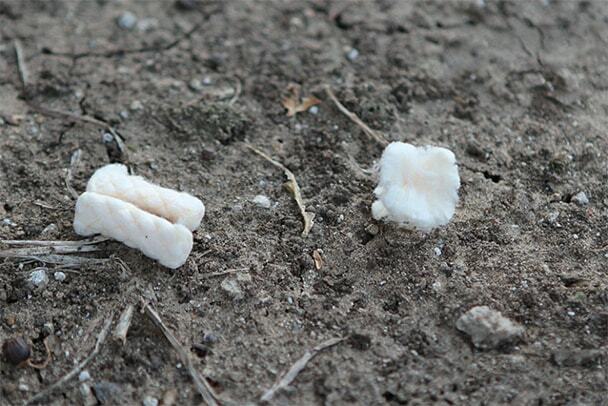 When you burn the Vaseline Cotton Balls, it quickly melts and gives you amazing flames. The best thing about the Vaseline Cotton Balls is their size because you can keep these balls in a fire kit easily, you can adjust dozens of it into a ziplock bag to keep them protected. These balls are light in weight and take no space. 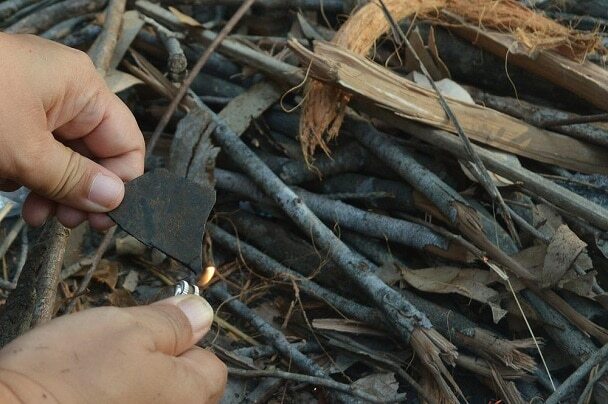 It works as a perfect fire starter and has a great capacity to help you in building fire. The cotton is waterproof that allows you to use fire for maximum 2 to 3 minutes. It works well to start a fire and helps you in almost all survival situations. Plus, The bag contains approximately 10 Tinder Quik Fire Tabs. It is necessary to use wax paper in survival conditions because it is highly impervious to moisture and it helps to ignite fire very easily. 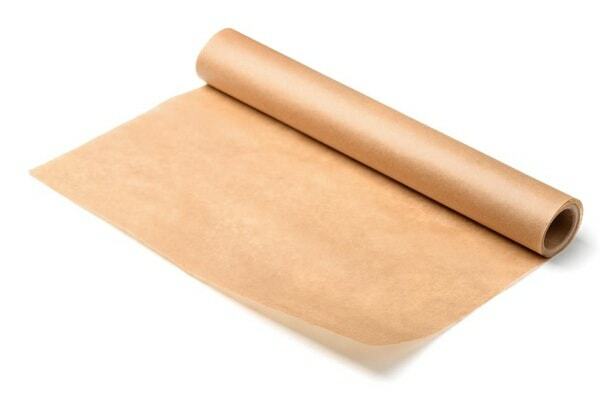 But make sure to keep it safe from tearing, and shredding.The wax paper is beneficial to use in emergency situations. Wax paper can help you build a fire with good flames. Steel Wool and 9V Battery should be included in every survival gear (as the last option to ignite fire). It works effectively and makes fire within seconds. All you have to do is touch the both poles to a steel wool and see that it will catch fire. Plan a Bug Out Bag in such a way that you can easily use the survival gear in emergency situations. Place the most useful gear at the top of the bag and then place the less important things inside. Fire kit includes all the useful items that make your survival assured out of an emergency situation. All the items present in the fire kit help you in building a fire that provides you warmth; help you cook a meal and also provide you light in the dark. However, I have listed all the items above for your understanding that are essential to include in a fire kit, but the most important are: waterproof matches, lighter and a fire starter. You can choose other items as well, as mentioned above according to your personal choice and needs. Without all of these, it's really hard to ignite the fire in emergency conditions. A First Aid Kit is one of the essential things to stash in your bug out bag. In critical times or in an emergency situation, a well-stocked first aid kit will definitely help you out in treating your injuries. It is important to have a good knowledge of what a perfect first aid kit should have and how to use it. Try to carry all the beneficial items of unique medical needs that help you in emergency situations and avoid all the less important items in a first aid kit. Only include items that are extremely important and helpful, don't carry useless things. Always purchase good quality medical items to include in a first aid kit, never ever compromise on your health. Get a perfect bag to keep all the medical items safe. Plan your first aid kit in such a way that you can easily keep it in your bug out bag, don't try to make your bug out bag too heavy. Check the expiry dates of the pharmaceuticals. Check the list below one by one to know about all the items. 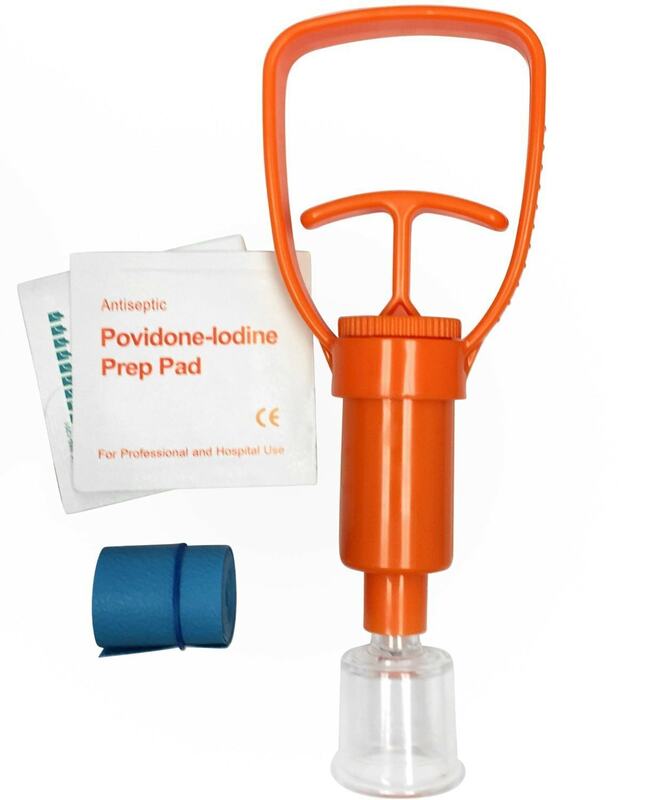 It acts as a life saver; it quickly pulls the open wound or cut together and provides you relief. To use it, apply it on your wound, it works effectively. And also, wash your cut or wound before using anything to prevent the wound from germs and debris. You can easily adjust it in your first aid kit along with other items. It works perfectly to protect the wounds. It also keeps the wound safe from all kinds of germs etc. Simply apply it on the wound, it works in the same way like doctor stitches the wound. It keeps the wound closed for some time. Make sure to wash your wound before applying the Butterfly Sutures. These are extremely easy to carry in your first aid bag. And then you can also place the first aid kit in the top (larger) compartment of the bug out bag along with the fire kit. People who have some sort of allergies like a food allergy or any such kind of allergies that can cause severe reactions that must be treated immediately, for all those it is important to keep Benadryl in your first aid kit. It is one of the finest antihistamines present in the market to treat allergies in any emergency situations. 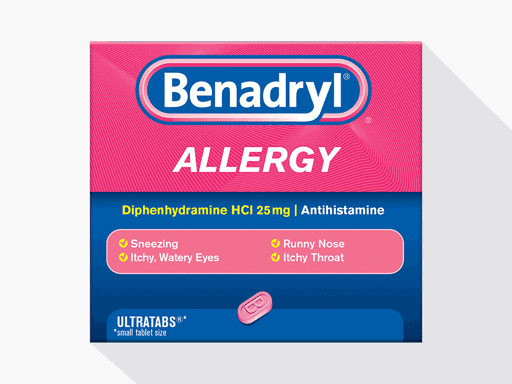 The Benadryl can get adjusted quickly and easily in your kit. It is necessary to include it in your kit because it is best for all those who have life threatening allergies. 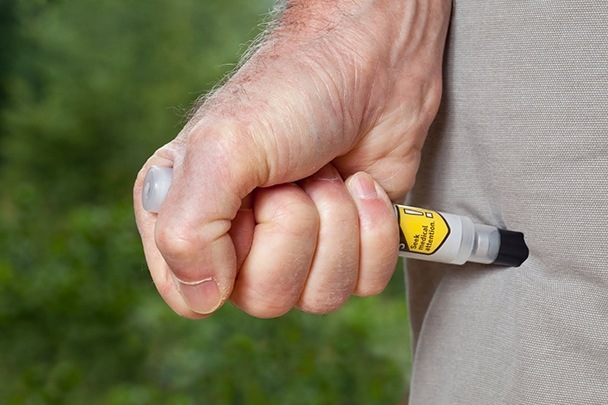 To use it, inject the EpiPen or Epinephrine, then the anaphylaxis reactions stop automatically. They are small in size and can easily adjust in the first aid kit. 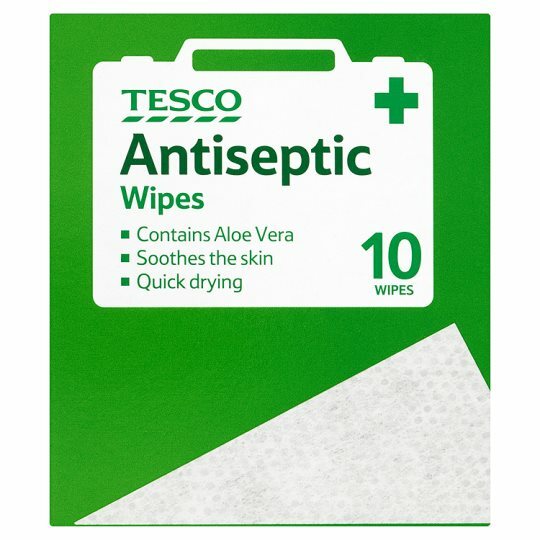 The antiseptics work on the living cells and tissues to destroy all the harmful infections, and the disinfectants destroy microorganisms and keep your immune system work properly. 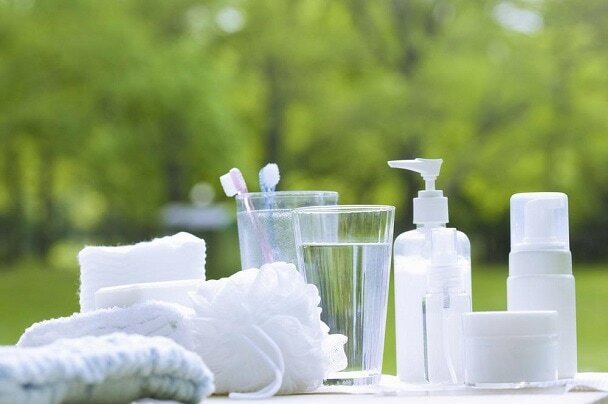 In case of any infection, use the antiseptics and disinfectants to stay fit during the wilderness. For example; antiseptic wipes, peroxide, mouthwash, antiseptic creams and PVP Iodine Ampules. 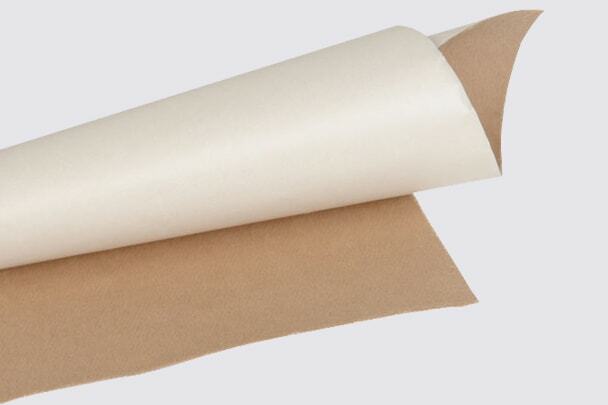 Adhesive Wound Dressings are present for every type of wound, whether large or small. It is one of the best bandages for covering sutured cuts or wounds. It can fight against all the inflammations. Also, it can provide you the best treatment for rapid results. It is the basic first aid tool to absorb the bleeding, if you're packing the bug out bag, then definitely include the gauze. It shows rapid results. 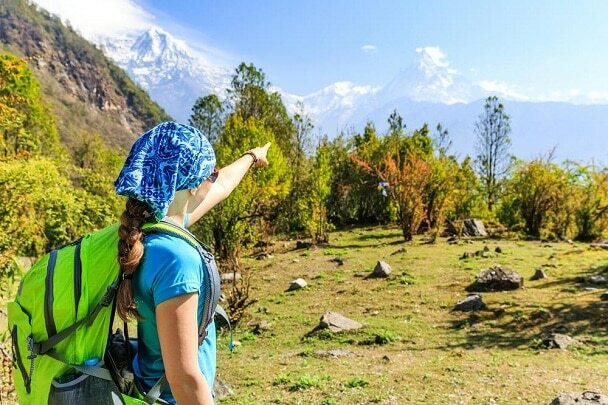 It is important to keep your feet safe; it is one of the basic medical tools that should definitely be kept in your bag, because while hiking, sometimes you may develop blisters. It is basically designed to give you cushioning around the spots to avoid chafing and enables you to keep moving forward with safety. This is so far the best choice to take with you. Triangular Bandages are of immense use, they can act as a perfect medical purpose as they keep the ice packs in place, and they pack wounds perfectly and provide pressure to lacerations. The bandages like the Dynarex Triangle, prove to be the best treatment of your wounds. This bandage is best to treat your knees as it can provide you support so that you can move towards your bug out destination. 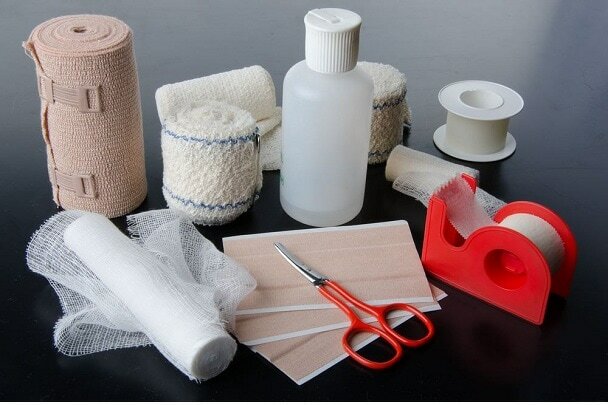 Plus, you can also use ace bandages for the dressing of wounds. You can simply roll it on your knees and ankles to feel relief. Items like this need very little space, yet they are important to include in the larger compartment of the bug out bag. 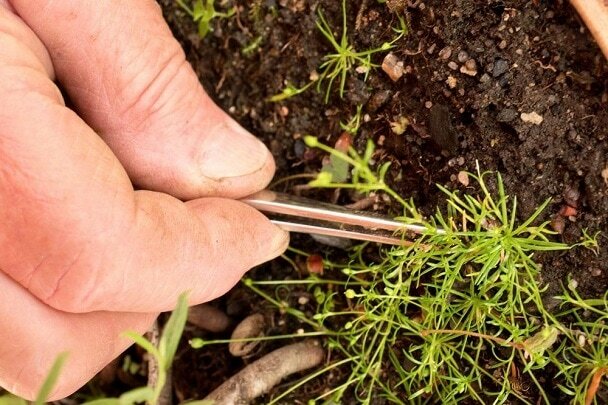 Tweezers are pretty much important as they can help you in pulling out the tiny thorns. 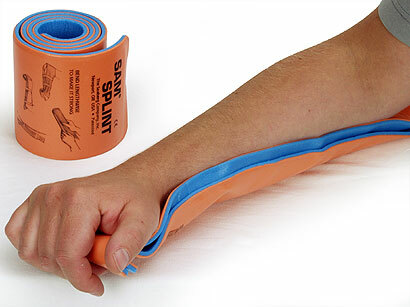 It is a must tool that is needed to include in a first aid kit. It is necessary to keep the scrapes and cuts clean. It also prevents the skin from several infections during camping. Definitely, include them in your first aid kit for emergency situations. They keep your wounds safe from getting germs as well. So far one of the main item to include in the first aid kit is gloves. It keeps you protected from several germs and infections if you wear them while doing any activity or while treating the wounds. It is necessary to add it in your survival gear, as it is the best option for emergency situations. It reduces the need of blades and knives to extract poison of snake from the body. Plus, you can also use it for mosquito bites, and bee stings. It comes in a rolled shape. 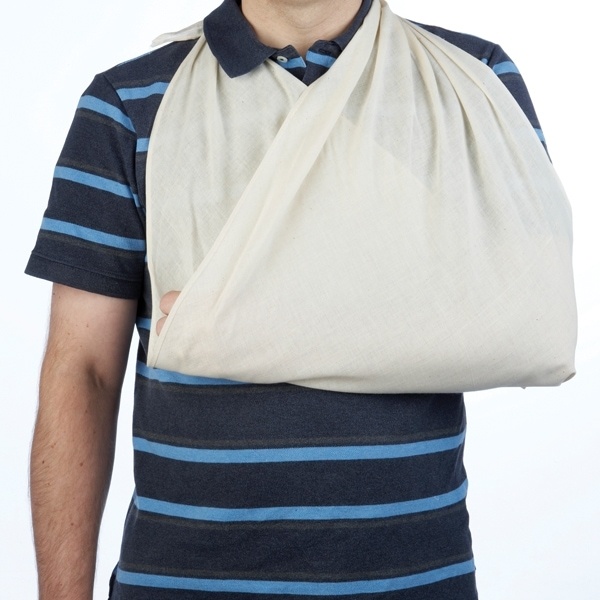 It is basically ever ready first aid essential, suitable for all emergency conditions. It is made up of malleable foam aluminum that makes it reliable and soft. 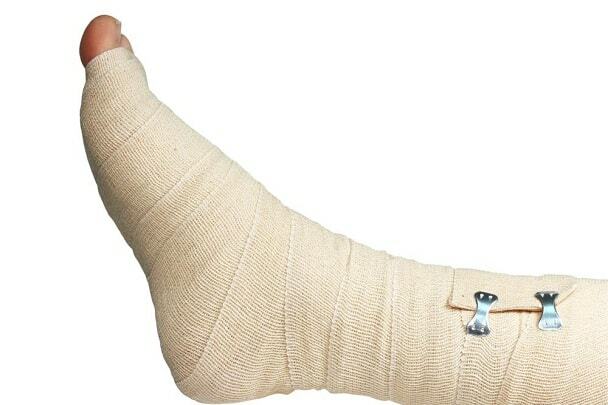 It is best to treat fractures and limb injuries; you can easily shape it into C, W, and T for fast recovery. You can cut it with any ordinary scissors. These are the medicines that kill the pain in your body parts. These are must to feel the instant relief. For this, you need to have a doctor's prescription; you can use it as a preventive measure in a disastrous environment. 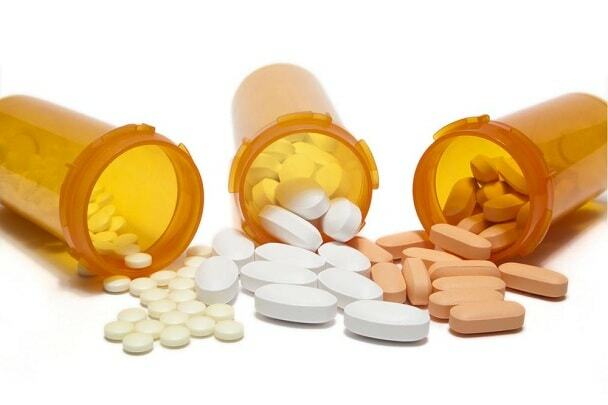 These antibiotics can fight against the bacteria and a wide range of microorganisms. Just take them orally with a glass of water. Take the Broad Spectrum Oral Antibiotics only with the prescription of the doctor. For example; Amoxicillin, Erythromycin, and Ciprofloxacin, as they might initiate a few reactions in rare cases. 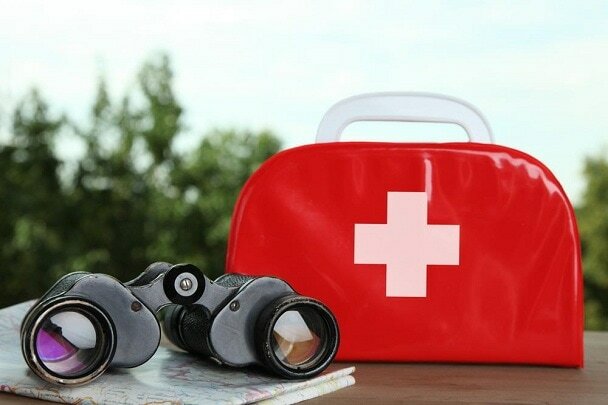 There are many options mentioned above that can help you in planning a perfect bug out first aid kit. All the first aid items that listed above are extremely important and essential to carry with you. Additionally, all these items can help you in some emergency situations (post HSTF). But make sure to add the essential ace bandage, moleskin, gloves, gauze, medicines, and antiseptic wipes in your bug out bag. To protect yourself from life threatening conditions, it is important to build a shelter. 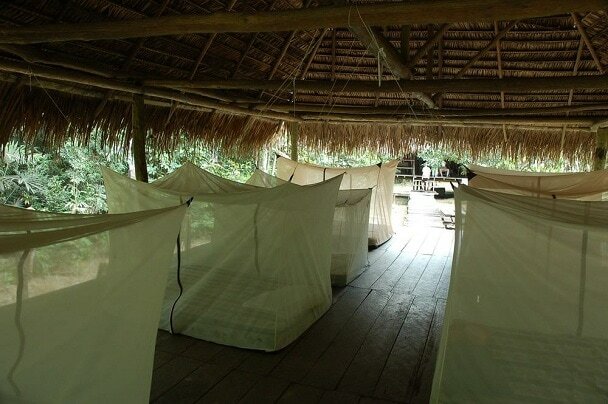 The shelter provides you a warm and dry place to sleep and take a rest. While you are in harsh circumstances, all the necessary stuff in your bug out bag may definitely help you out in dealing with the situations. 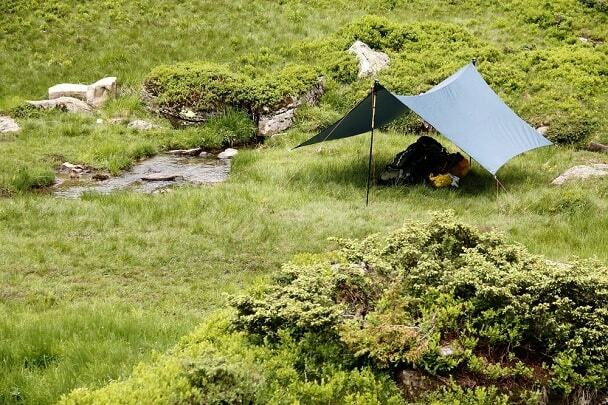 If you have essential and proper shelter items present in your bag, then you can technically make your own shelter. Below, I have listed a detail of some most helpful and essential items that are a wise choice to carry in your bug out bag. And yes! It gives you the comfort both physically and mentally. 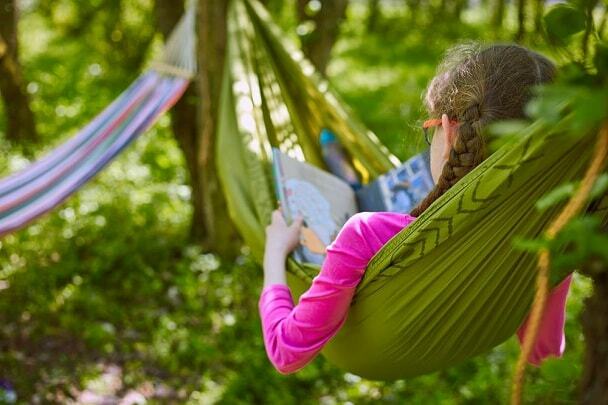 The option of Hammocks is best for survival conditions. It is best for the buggy and wet places. It is lightweight and very comfortable to carry. You need to have two strong poles or points to tie it. Some hammocks are paired with traps that make them extremely versatile to use in all situations. Tarp comes in every material, color, and sizes. It is best for the survival conditions because it is light in weight and doesn't consume much space. It can perfectly block the snow, wind, sun, and rain. Always choose the tarp that is rust resistant, waterproof and keep in mind that the trap should be shrink-proof and washable. 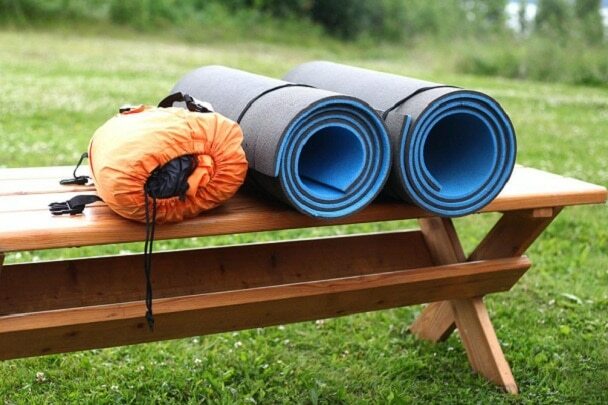 It can be used as a perfect base for tent and to cover the ground. It is easy to keep in the bug out bag, simply fold it and adjust the trap in the bag towards the bottom side of the bag. 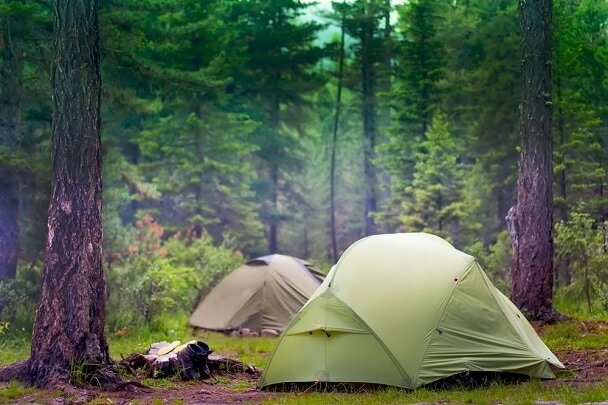 Always select the breathable tents. 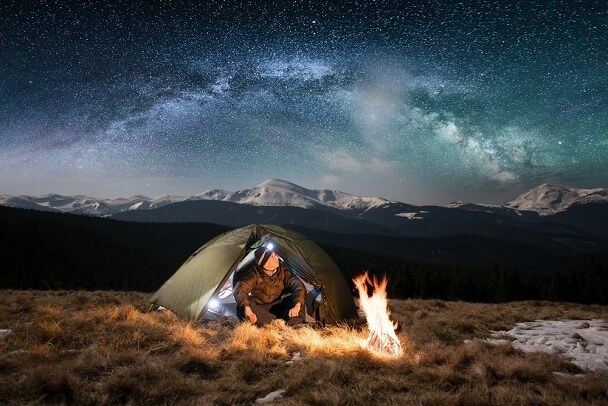 The more lightweight tent, the easier to manage and build it. The tent is important to sleep and take rest. It provides you shelter in extreme conditions. So don't miss to add it in your survival gear. Plus, the tent is easy to wrap up and also to set up. The sleeping bag is super useful for almost all kinds of circumstances. It is probably the most lightweight item to include in your survival gear. You can use it during the survival conditions, it can resist moisture and also it provides you great comfort in almost all conditions. So while planning your survival gear just don't forget to add sleeping bag. It is one of the most ultralight items that are important to stash in your survival gear. Simply place it under you as it provides you a comfortable sleep because of the best fabric. It comes with an integrated pillow, but still, it is much lighter in weight. Great choice to carry it in a bug out bag. It doesn't take much place in a bug out bag. It gets adjusted towards the bottom of the bag quickly. The good thing about the rain poncho is that it is available in various colors. Plus, it is necessary to include it as a perfect survival gear. 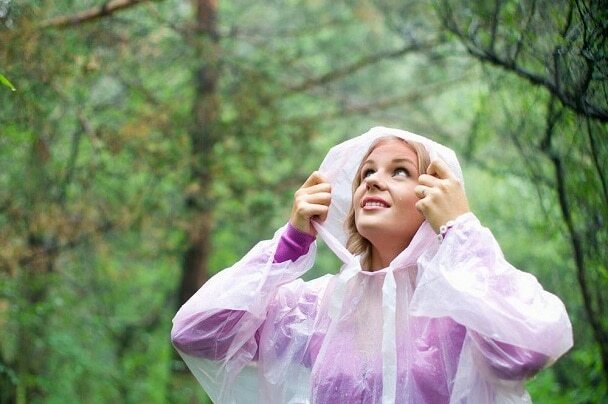 It keeps you protected from rain and helps you to survive in all types of weather conditions. If you're getting ready to go out on a bug out destination, then grab it before packing your bag. It helps you to protect yourself from the downpour. It easily gets fit in the bug out bag for emergency situations. 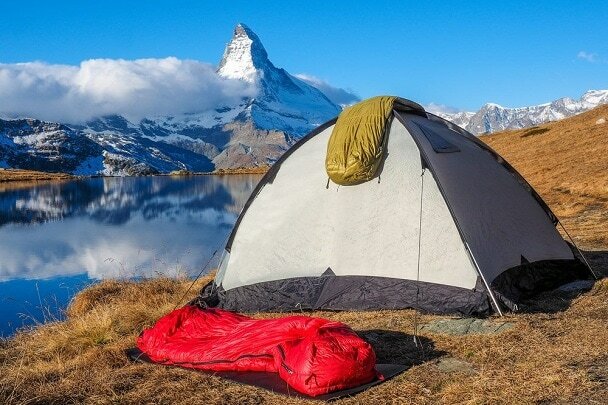 It is necessary to cover your tent or oversized cot. It also protects you from several infections and allergies caused by mosquito bites. This one is really important to carry in a bug out bag. It’s easy to fold it and also fits comfortably in the bug out bag. 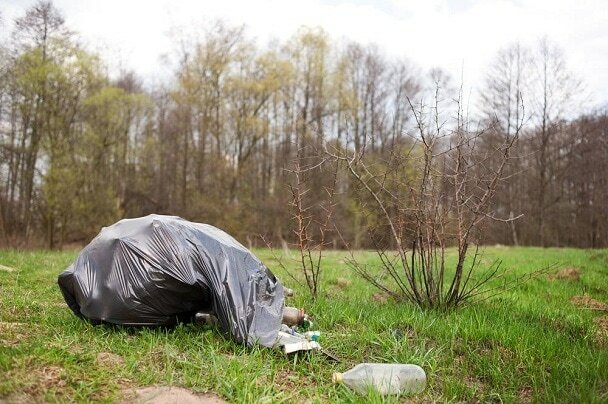 A garbage bag is a necessity to add in a survival bug out bag. You can use it for many purposes: you can use it as a Rucksack, water catching tool, and as a water hauling. Slit the bag to cover the wet ground for more space. The garbage bag is extremely easy to add in a bug out bag. It also gets stashed nicely in the small compartment. It is necessary to keep it in your survival kit. You can use it in many different ways. You can also use it to collect rain water. You can use it as an emergency shelter. You can use it as a hypothermia wrap. Plus, you can also cut it from different sides to use it as a sheet. The above-mentioned list includes all the essential things that you need for your survival. Plan a bug out bag in such a way that you can carry it easily. If you want to add or ditch something from the list, then you definitely can according to your convenience. But make sure to keep a sleeping bag, mosquito net, wool blanket, tent and a rain poncho in the bug out bag. I assure you that you can't go wrong with all items for survival. Unarguably, water is too much essential for human body. The average human body is made up of 60% of water and it is important to drink 1 liter per day to stay healthy. So it is compulsory to include the following items in your water purification kit, so that you can purify the water in survival conditions. It is best to use in all emergency situations. It works effectively: in just 30 minutes the water becomes ready to drink. It is used to purify the water from harmful elements. It has no unpleasant smell or taste. It is best to treat water in survival conditions. It basically kills all kinds of microorganisms and prevents water from borne disease, cholera, and dysentery etc. To use the tablets, simply drop only one water purification tablet into one liter of water and wait for 30 minutes. You can keep them in your medical kit. It is necessary to carry a hard water bottle as it is best for both cold and warm beverages. It can keep you hydrated throughout your journey. Average Collapsible Water Bottle is About 70% lighter than typical rigid bottles. These bottles are compact and great for emergency preparedness. You can carry these bottles almost everywhere. A Collapsible Water Bottle can carry 2 liters of water easily. You can keep it in a small pocket of bug out bag to use in survival conditions; it can be folded and kept easily anywhere in the bag when empty. 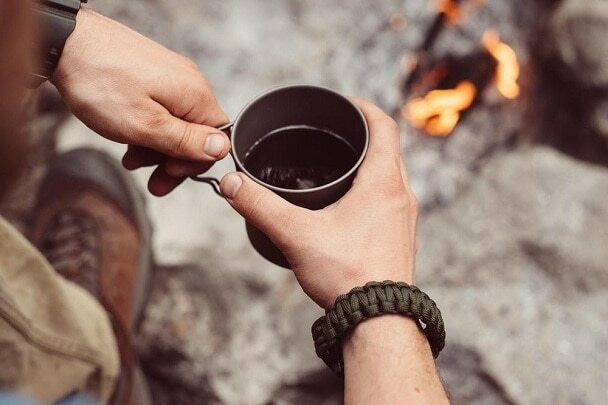 Steel cup, the all in one and very important item in the survival conditions. And why I said as “the all in one”, because you can use it for making the meal, making coffee, boiling water or any other thing you want to do. It is necessary and ideal for survival preparedness. It lets you turn contaminated water into healthy and safe drinking water. It is the most important water kit tool and you can adjust it in your bug out bag for emergency situations. 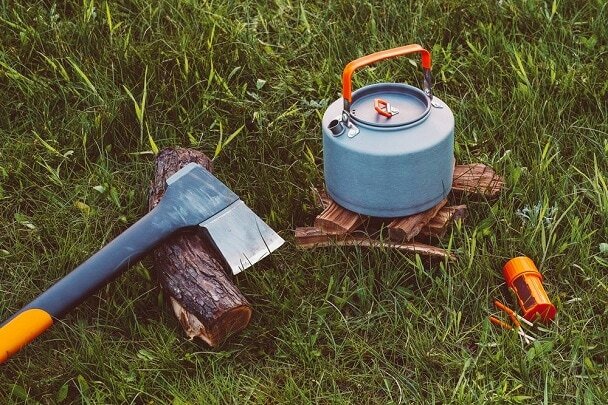 It is one of the most durable cookwares; you can use it in almost all survival conditions. It provides you good & moderate heat for making meals, it is easy to use and manage. Plus, it is easy to clean. It is must to carry as an emergency preparedness tool. 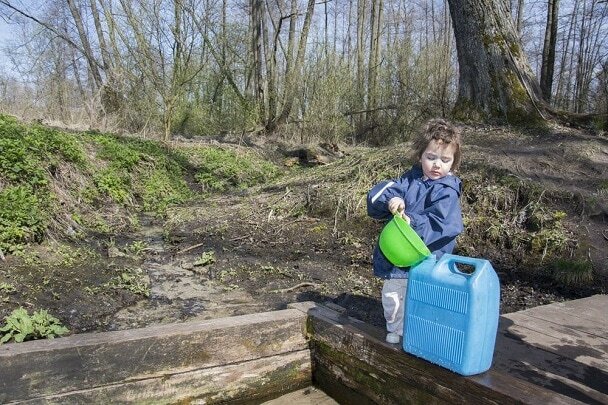 The water container is necessary to store water for maximum 3 days or more. Because to stay completely hydrated it is important to drink 10 glasses of water daily. 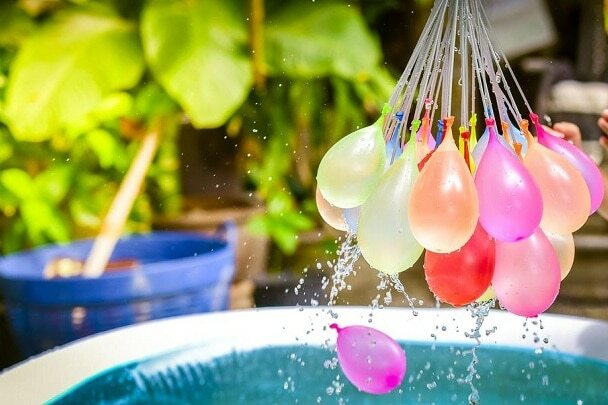 It can help you in storing a large amount of water for many different uses. It is one of the amazing inventions ever. You can use the coffee filters for many different reasons. Plus, it is necessary to use in survival conditions. It can help you in keeping your clothes away from bad smelling; all you need to do is pour white vinegar and a few drops of any essential oil onto the coffee filter. You can also use it for making fresh orange juice; just squeeze the orange on coffee filter. It can also be used for many different reasons. It is necessary to purify the water from impurities and microorganisms. Avoid bleaches that contain perfumes. Just add two drops of bleach to purify the water. Remember, wait for half an hour after adding the bleach in the water. All the essential tools mentioned above are important to include in your survival gear as an emergency preparedness, but the most compulsory ones are the hard water bottle, life straw, metal water bottle and cooking pot. The next important thing that is beneficial to include in your survival gear is “Food”. You need foodstuff that will last for maximum 4-5 days. Ready to Eat Meal is also good to add in your survival gear; a few cans of fish and meat are recommended to keep in your survival kit as these do not need to be cooked. Backpack meals are also best as they can last longer. The most important thing to know is that you want enough food to store for survival. 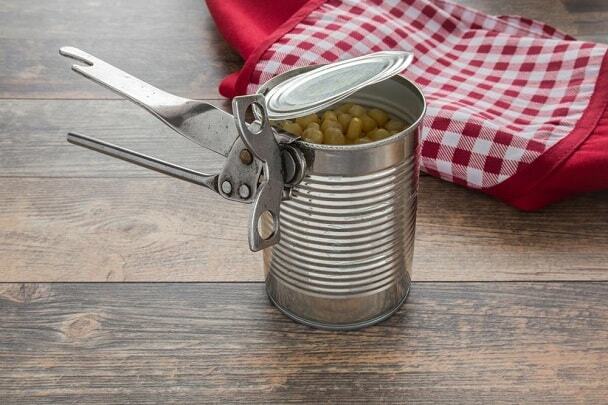 Canned food is one of the necessary food items to store in your bug out bag as they can last longer because you can keep them without refrigeration. 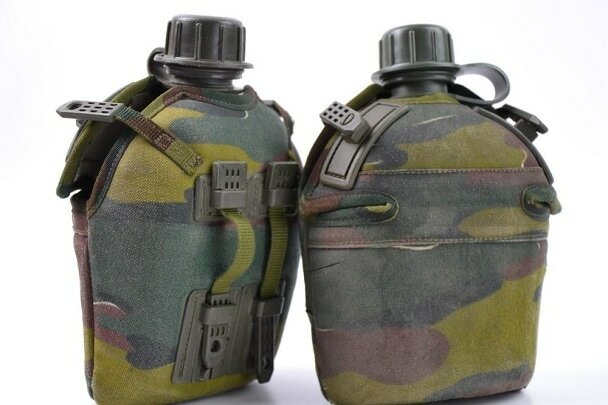 You can store them easily in the inner pockets of your bug out bag because they are lightweight and small in size. For example, Canned fish, canned pasta, canned fruits, and canned vegetables etc. 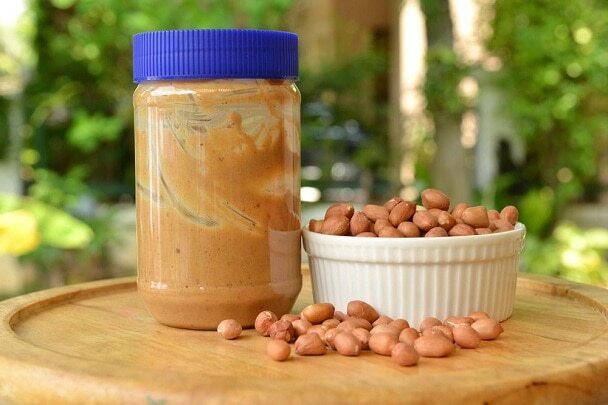 Peanut Butter is necessary to keep in the bug out bag as it is the best source of energy. 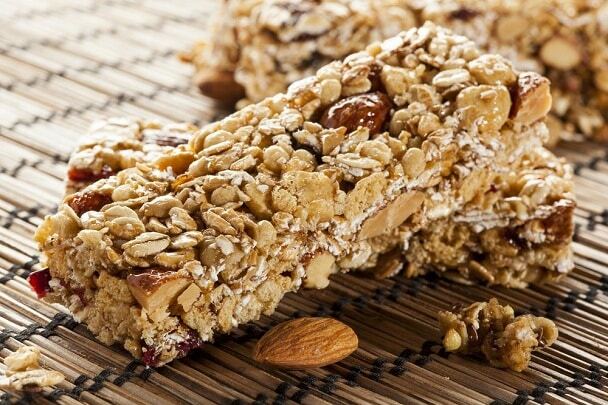 It is useful to keep in your survival kit because it contains most healthful proteins and fats. It is a must food item to include. It is necessary to store as a more healthful food item because after opening they don't easily get stale. Always use multi grain cereal as they can help you stay fit and provide you the power to survive. Add the packed milk in it or eat it as the way you like, all depends on you. It is one of the most famous snacks present in the market. They are highly rich in proteins, fats, and contains that entire important essential that make the meat jerky healthy to eat. It not only improves your health, but also improves your immune system. It contains no preservatives, artificial flavors or food colors. It comes in almost all sizes, so you can choose accordingly and adjust it in the inner large pocket of your bag for emergency situations. It is necessary to keep with you in the bug out bag because it is ready to eat food item and best for survival. 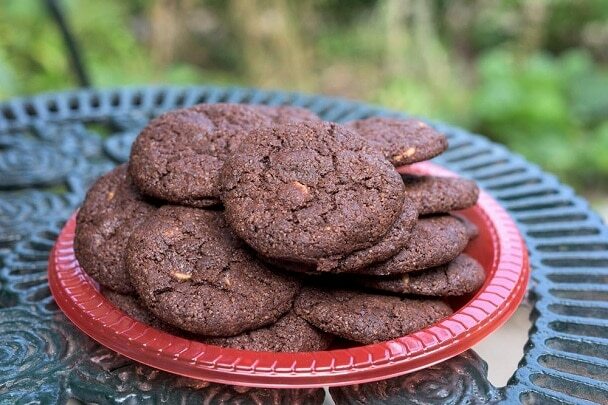 During the emergency situations you might end up with only biscuits, so it is important to keep as a survival food item. You can keep chocolates in the bug out bag, as the they are lightweight and contain such ingredients that can give you energy for survival. 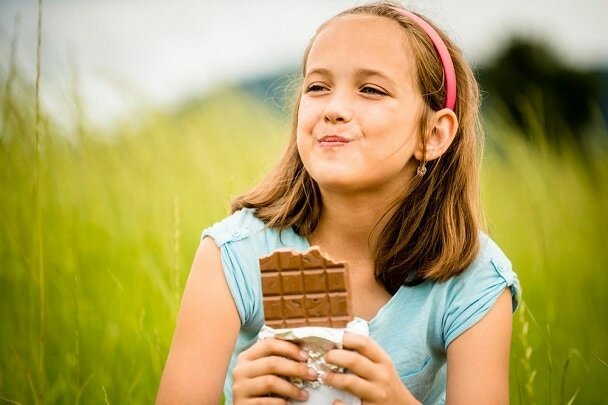 The chocolates are useful because they are high in calorie content. It is important to carry a few packets of instant coffee because they can keep you warm in cold weather conditions. Coffee packets are useful as they contain caffeine, and caffeine can help you in keeping yourself alert all the time. It is necessary to keep with you because they can stay fresh for maximum 6 months. It is useful in the survival conditions as they are healthy; along with this, they contain a high amount of carbohydrates. Plus, it is important to eat for energy. 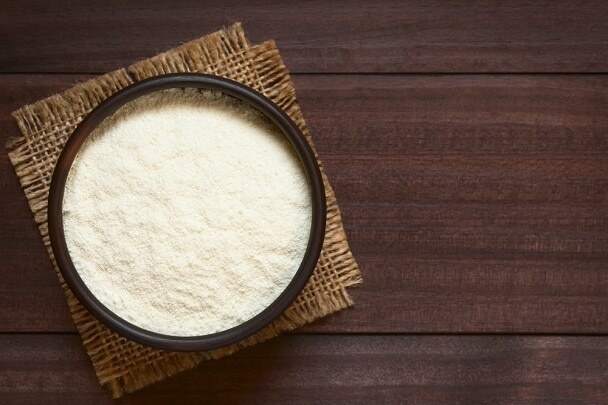 Powdered Milk is an excellent substitute for dairy products and it is necessary to use in survival circumstances. It is useful because it is the best source of vitamin D and calcium in the absence of fresh milk. It is necessary to give flavor to meals, in case you may be preparing a meal. 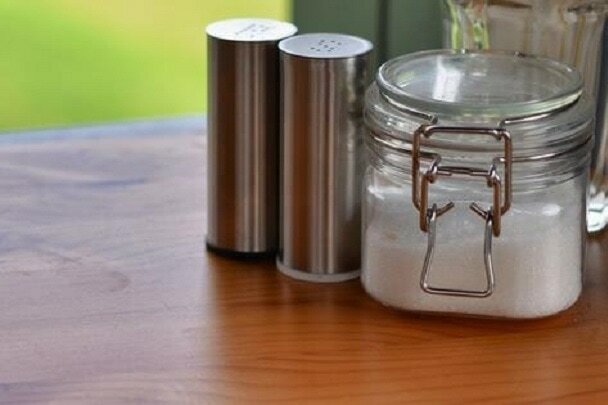 You can use pepper, salt, and sugar as a perfect sweetener and for seasoning the meal. 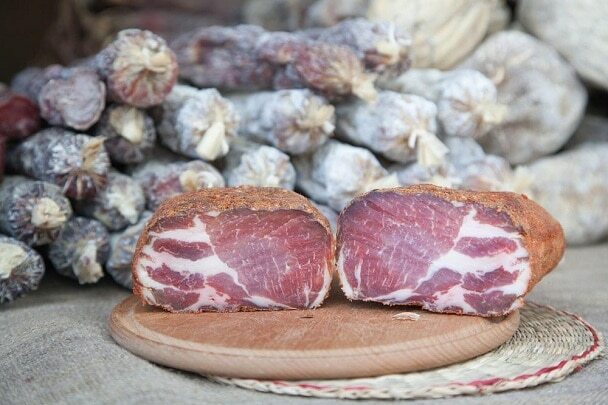 Plus, it can provide you meal with good aroma and taste. Keep these items in plastic test tubes with air tight closure or air tight tubular jars. They easily get adjusted in the side pockets of your bag. It is necessary to include it in the survival kit as it is a multi purpose tool. This small tool is really important for survival conditions. It can be used as a groove, to clean nails, for cutting edge and as a cleaner. It doesn't consume much space. It is a pocket size tool. 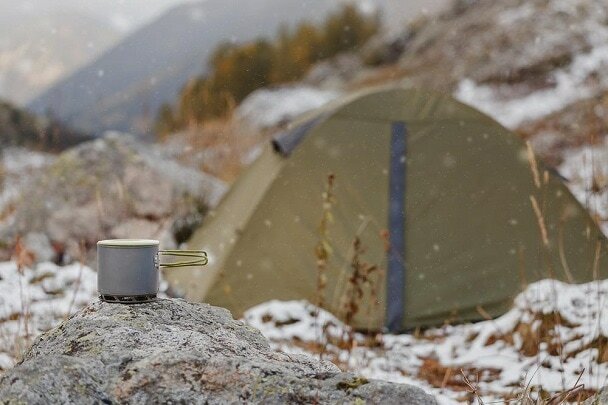 For emergency situations, a portable stove is essential to keep with you. 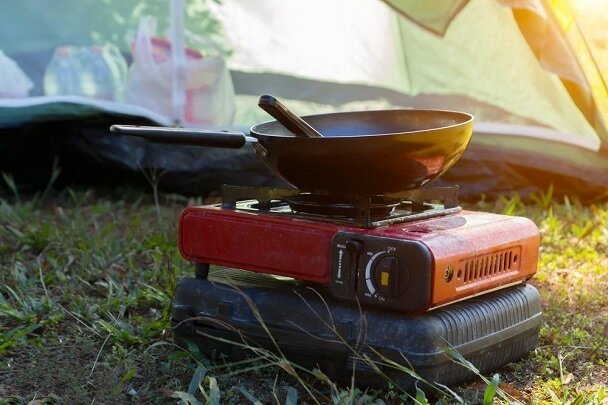 It allows you to make a meal and boil water. Plus, portable stoves come in many forms and use different fuels. 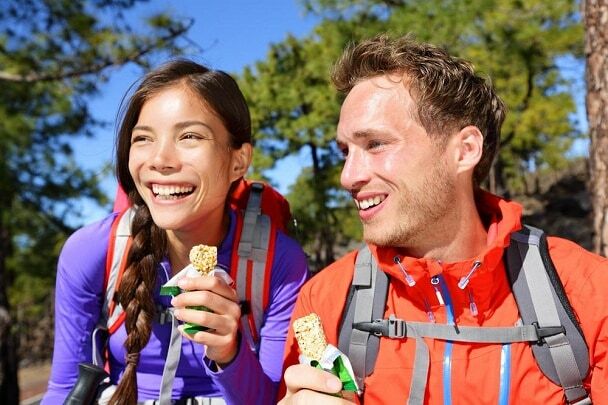 All the food items that are given here are best to include in the bug out bag and they can also help you to stay active and healthy. The human body needs to eat healthy, fresh and clean food for healthy immune system. However, it is necessary to store essential survival food items in your bug out bag. Additionally, these food items are must to carry: canned food, biscuits, chocolates, sugar, salt, powdered milk and peanut butter. 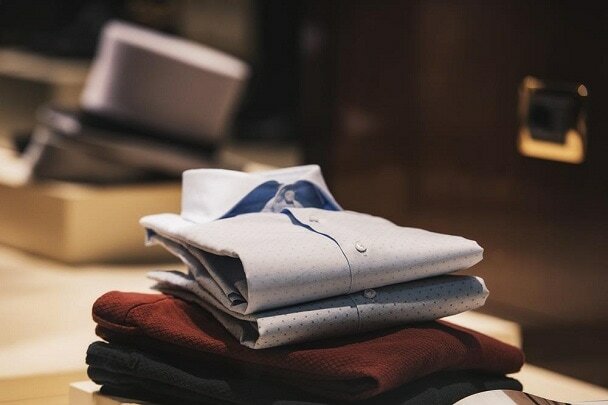 The selection of clothes always depends on the climate, location and many other factors as well. Set your bug out bag in such a way that it should include all the important clothes that are compulsory to carry for survival conditions. Additionally, with all this sun protection is also an essential thing to consider.This is a personalized section as everyone has his/her own likes, needs, and body types. Check out the below-mentioned list is important to consider because it may help you in maintaining the body temperature every time. 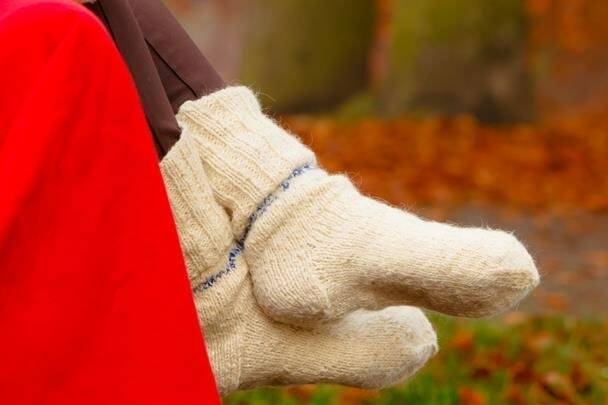 They are best for extreme comfort and also provide you warm in cold weather. It is necessary to wear as it can protect you from sunlight and also from other elements. Plus, they can also keep you warm. Hats are highly recommended to include for survival preparedness. Simply wear it during the day to avoid direct sunlight and a hat can also protect your forehead, ears and also your scalp. 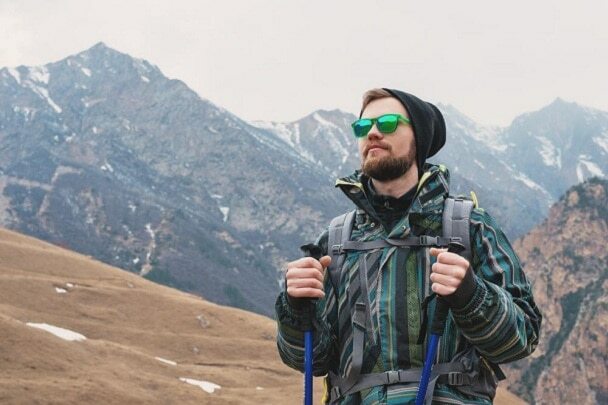 Jackets are necessary to take with you while you're heading towards your bug out destination because they can keep you warm as jackets are good wind breaker. Always choose Waterproof and lightweight jackets. Heavy duty jackets are best to carry for survival. Gloves are necessary to provide you perfect hand protection and grip. Gloves help you in almost all conditions as they made up of heavy material and they are highly durable. 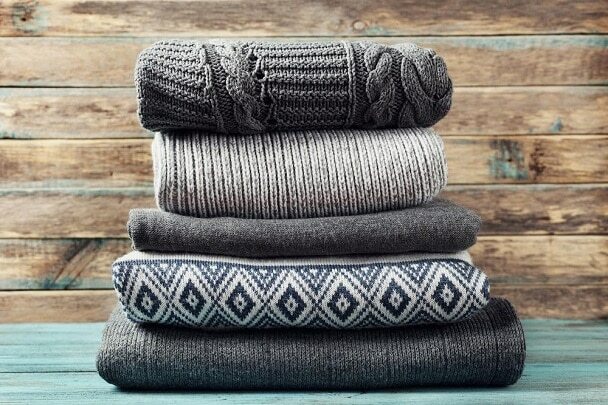 Wool Clothing helps you keep dry and warm. You can also place some items like batteries and lighters in the pockets of wool clothes so that they stay warm and work properly. High knee socks can provide you protection from the climate. They also keep your feet healthy during the survival conditions as you need to work through. You can use the high knee socks almost any time during survival because they ensure comfort and mobility. Waterproof Footwear is necessary because they are best for your feet in case if you have to walk longer during survival conditions. Plus, they are highly comfortable for your feet. It keeps your feet dry during rain or while crossing some stream. It is necessary as it can absorb body heat to keep you warm for a longer time. It also has a hand warmer pocket attached inside. It is one of the best clothes for survival. The Bandana is necessary because of many different reasons and bandana can work as a perfect dust mask and smoke mask. It can give you style as well as it can be used for many purposes. Wear the bandana around your neck, wearing a bandana can help you in many ways. You can use it for medical purposes, for hygiene, for carrying the bug out gear, and also as an emergency cloth. As it is a fact that, the bad weather can harm you; so it is good to carry extra clothes with you in your bug out bag. You can utilize extra clothes anytime you want during survival conditions. 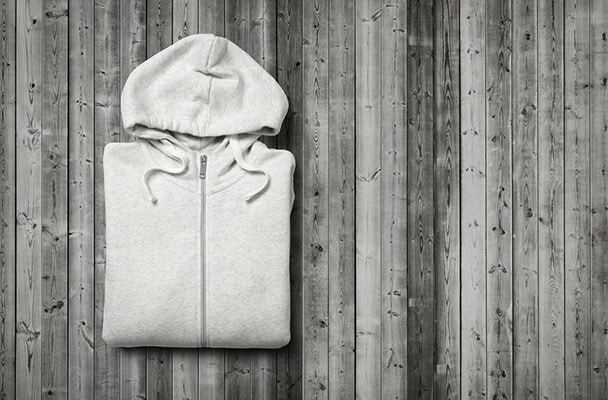 Furthermore, keeping extra clothes with you ensures your safety from harsh weather. 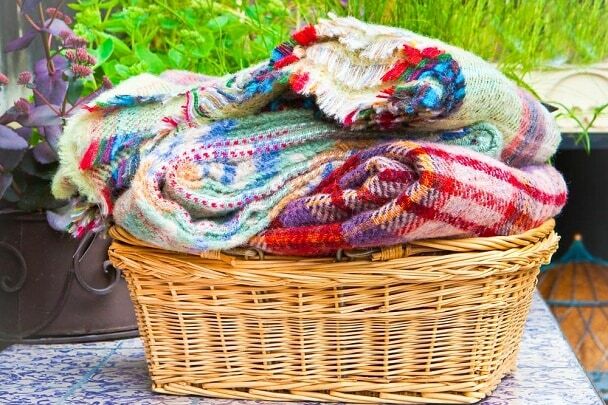 Always keep the cotton, wool and synthetic clothes with you to survive. The more clothes you have for emergency situations, the more it will help you to survive. 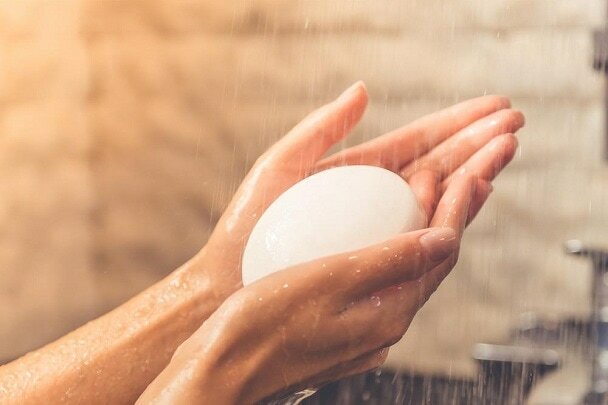 The entire above-mentioned list will definitely help you to survive in extreme weather conditions, Along with this, it is important to take care of your skin from all the harsh elements; so choose the items sensibly and must consider all the above-listed items. All the items that are mentioned here are important to use and carry, but the super important ones are a hat, wool clothes, jackets, gloves, high knee socks, hunting boots and you just can’t survive without them. It is very important to keep yourself healthy and fit during survival conditions; the best way to stay healthy and germs free is to keep yourself and the living area clean and hygienic. That's why it is necessary to gather all the items of sanitation and hygiene as the emergency preparedness tools. It is necessary to add toothpaste and a toothbrush as a survival gear in your bug out bag. Most of the people never include toilet paper into their list while its very important. 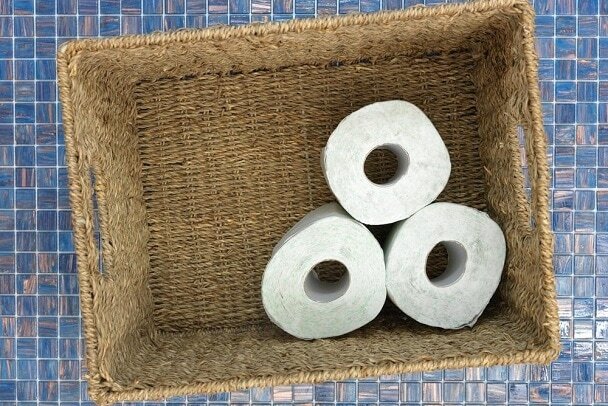 In the emergency situations, a toilet paper is extremely imperative to keep you clean and also keeps you away from all the sanitation difficulties. It is the necessary item as it can increase your level of freshness and comfort. Add it in your bug out bag to stay away from all kinds of smells. Always keep a soap in your bug out bag. 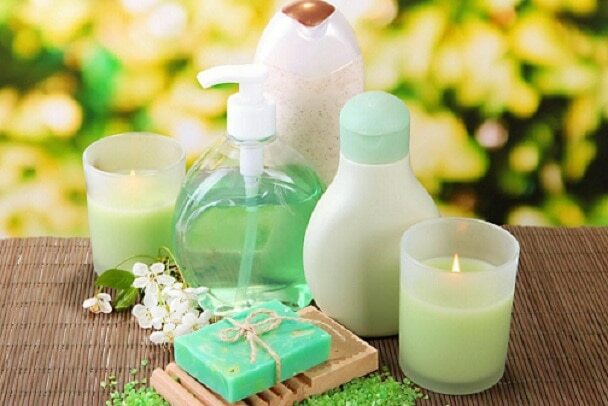 It is necessary to use as it can keep you away from all kinds of germs. Never compromise on your health. Just by little preparation, you can stay clean, fit and healthy during survival conditions. All the entire list that is mentioned above is essential to use, but the most essential items are toothpaste, toothbrush, toilet paper, and soap. Sun protection is also an essential thing to consider. It is important to take care of your skin and body during the survival conditions. This is a personalized section as everyone has his/her own likes, needs, and body types. The below-mentioned list is important to consider because it may help you in maintaining the body temperature every time. It is necessary to keep it with you because it keeps you safe from the sun and other elements. 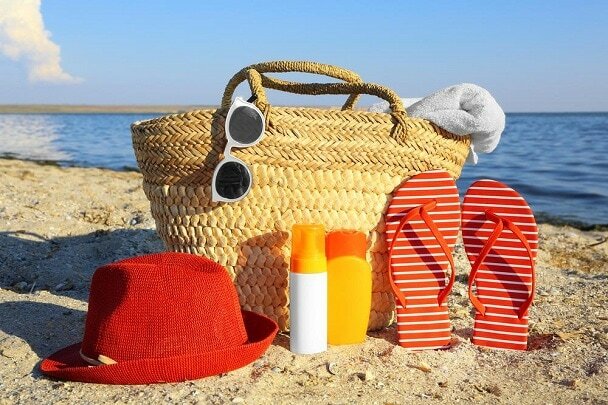 Use water resistant sun cream; always choose sun cream with avobenzone, titanium dioxide, and zinc oxide. You can keep the sun cream in the medical kit. It is necessary as it can provide you maximum protection from the wind, flying debris, and the sun. They also keep your eyes safe from UV radiations. Plus, night vision goggles allow you to see in the night. Night vision goggles are also very useful and effective. 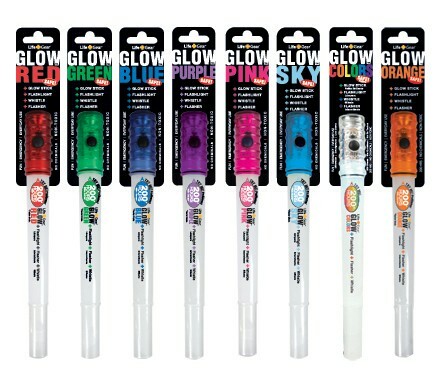 It is necessary to protect your lips from UVL (ultraviolet light) that cause lip cancer, etc. 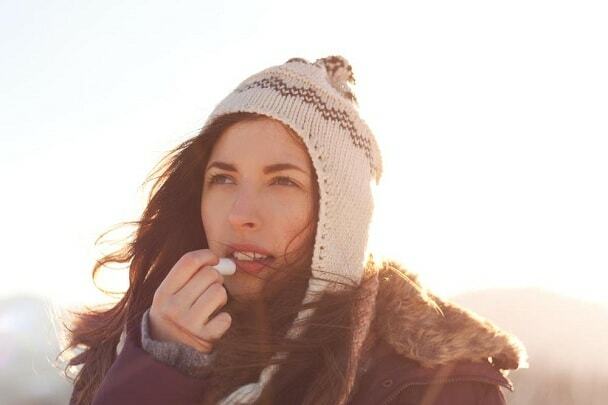 Sun light damages your skin that is why it is important to protect your lip by applying a Chapstick. All you need to do it look for a Chapstick that has healing elements and that protects your lips from the sun. Simply apply the Chapstick on your lips by rubbing onto your dry lips to moisturize them. The entire list of sun protection items, that is mentioned above, can help you a lot in dealing with your skin in the most extreme conditions. Plus, sun cream and goggles are must to carry in the bug out bag. For emergency and survival preparedness planning, the navigation is something really important to consider. You should definitely carry the basics of navigation with you like; compass, cell phone, and maps. It is necessary because it is one of the most valuable tools for emergency situations. Consider best binoculars that provide you good low-light performance, should be lightweight and comes with great optics. Start using the binocular by adjusting or setting the distance between the two barrels of the binocular for clear results, now you have to find something that you can focus on. Close your right eye and see only with the left eye and clear your focus by using adjusting wheel and then close your left and use the adjustment of the diopter; using sharp focus adjusts your view. Now time to open both eyes and check if your view is perfect and crystal clear, if not then repeat the steps again. You can hang it around your neck with the help of attached band or hang it to the outer side of the bug out bag. 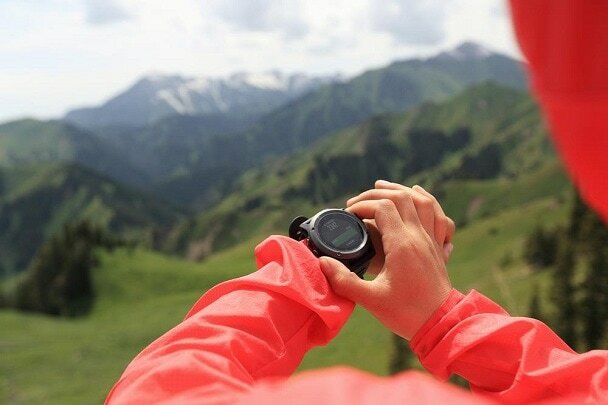 The altimeter is necessary to use in the mountains when you need to know the altitudes and other details. It can provide you with accurate readings and functions perfectly in all weather conditions. You can use it to know about the weather forecast, Thermometer, backlight, and calendar help you a lot in survival atmosphere. Plus, it involves digital compass and digital barometer. It carries no space, you can keep it towards the front pocket to use it while heading towards your bug out destination. GPS is necessary to keep as it provides the information about your location and time in all kinds of weather conditions. All you need to do is open the map on your GPS device, then click on my location and now select the option of “Get Directions” or simply choose destination address, now simply follow the instructions by GPS to get your desired location. 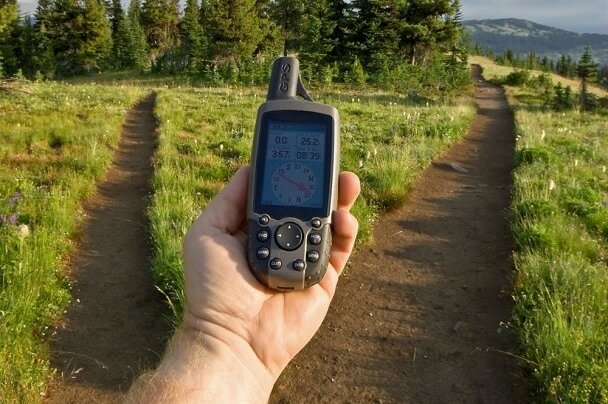 Or you can also use GPS for exploration and research; for this, you need to learn about longitude and latitude coordinates, then click on your current address or location as a waypoint and then download the data plus your GPS device with computer or laptop. The flashlight is a vital emergency preparedness tool. Bright Tactical Flashlight is extremely useful in almost all conditions. You should keep it in your trouser pocket. It is an amazing tool to add into a survival kit because it alerts others about your location through its reflection. 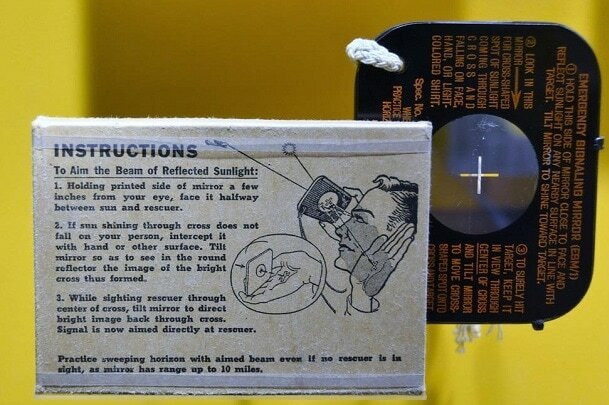 It is easy to use and it provides signals by reflecting the sunlight to others. It is best for emergency situations. 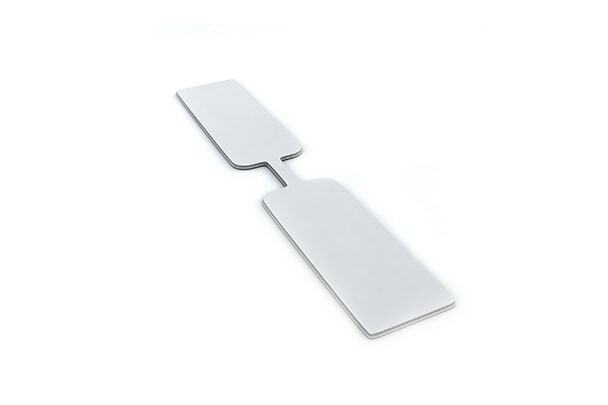 It is basically an acrylic mirror and it is light in weight. 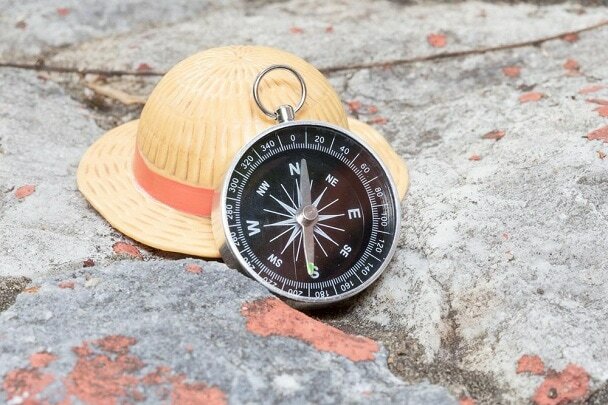 The mini compass is the perfect tool to use for navigation. It is filled with liquid that's why it can work under freezing temperatures. You can keep it in the front pocket of the bug out bag or also in your pants pocket. The entire list of navigation tools is essential to include in your survival kit as an emergency preparedness items. 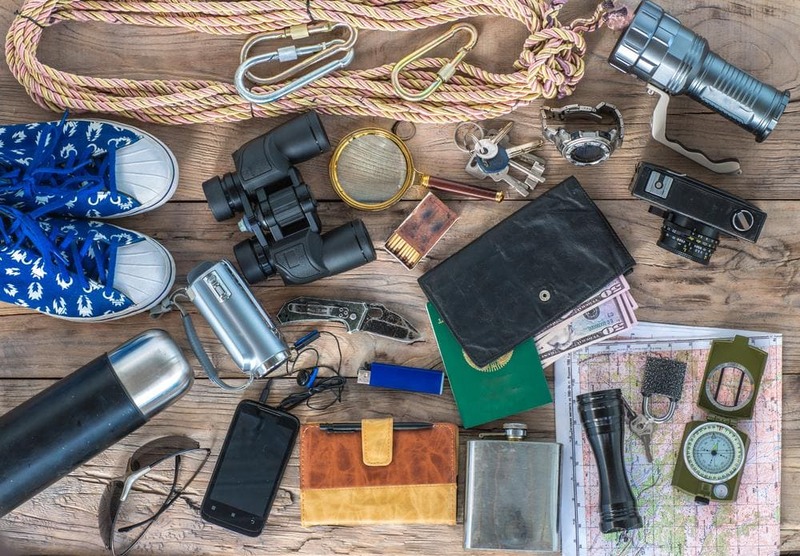 All these tools can help you in one way or another, but don't miss to add binoculars, flashlight, and a GPS device as the navigational tools for survival. 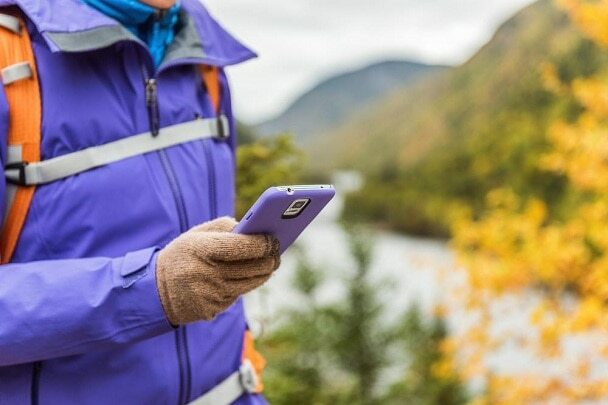 Adding communication tools in your survival gear is extremely important to stay connected in extreme conditions, to tell others about your location or to find someone. So just don’t miss adding the communication tools in your bug out bag as they are highly important. Some of the items are listed below, just check them once before heading out! It is necessary to keep a cell phone with you as a survival preparedness as it can help in locating your family, offer you medical help just by using many different apps and provides your information to others in emergency situations, etc. Plus, don't forget to carry its charger, in case of low battery you can again charge your cell phone. You can keep the cell phone in the front pockets of the bug out bag or also in the pocket of your pants for quick use. It is necessary because It charges the batteries for better performance in survival conditions. It is necessary to keep it as a survival gear as it can provide all the information like; it sends automatic signals about the dangerous weather conditions; it also alerts you about different other factors as well. Plus, radio also provides you many charging options. All the communication tools that are important and essential are mentioned here just for you, but the most useful ones are a cell phone, two way radios and an adapter, just never forget to add them in your bug out bag. 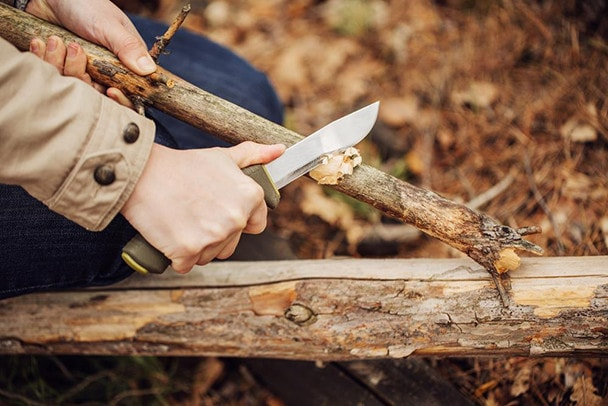 If you have a proper set of tools, you can build your shelter, cook a meal, create fire, sew clothes and several other things can be done in survival conditions. So, the importance of these tools cannot be ignored at all. As you know, each survival circumstance has its own requirements and to meet them you need to include some essential tools in your survival kit. Check the list below to understand the importance of tools to survive in extreme conditions! 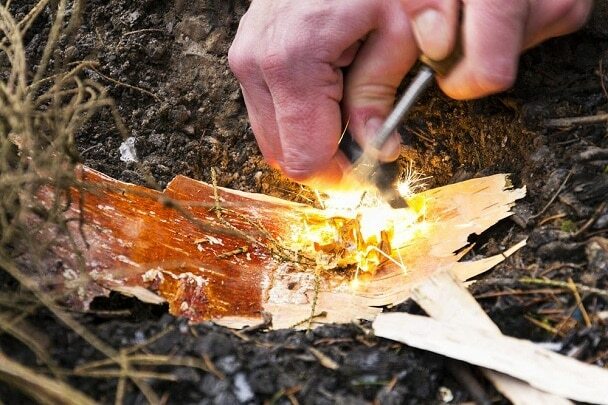 It has many useful benefits that can help you throughout your survival, for example, you can use it to repair shoes, clothes, build a shelter and you can use it as a bandage. 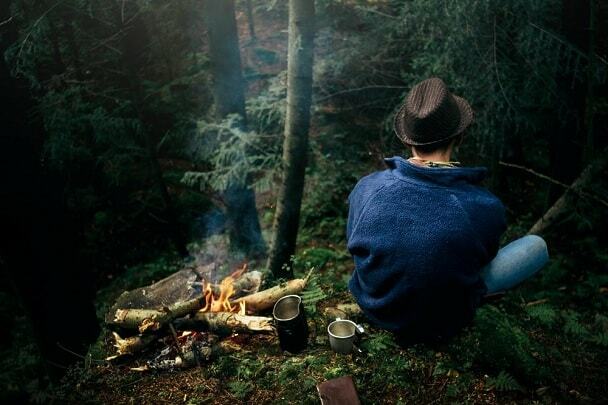 It is necessary to keep your survival knife or best hunting knife with you in the wilderness. It will help you to cut the thorns if you get tangled. 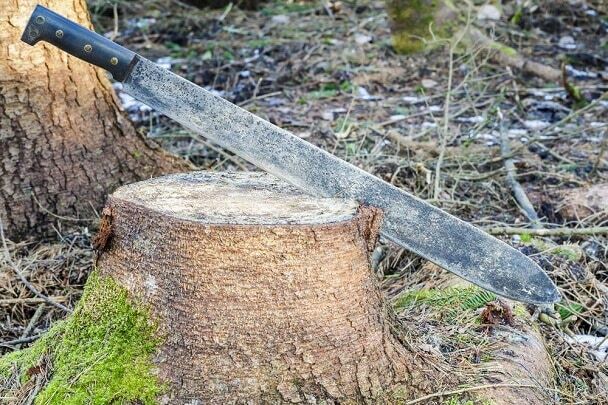 Moreover, you can cut the woods, use it as skinning knife, use it for wood carving, and lots of other things can be done according to the certain conditions. If you have experience with Throwing Knives then cary 1 throwing also. It is useful for many purposes like it is best for self-defense and hunting. To use a survival knife in a good way, you need to have a strong grip on the handle of the knife. 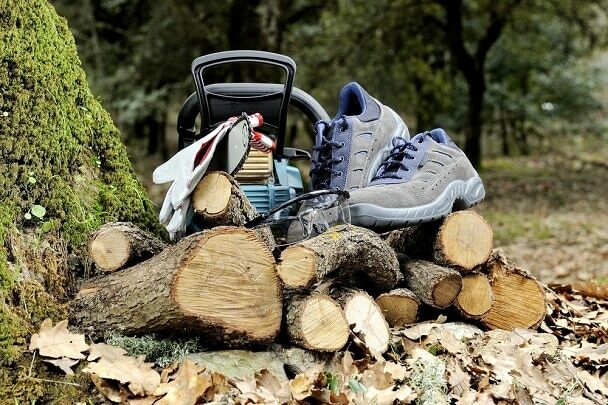 Then with a power, cut the basswood or clear your way through the jungle, cut saplings and split wood with full force. Additionally, just hold the knife from the end tightly to use as a defensive tool. 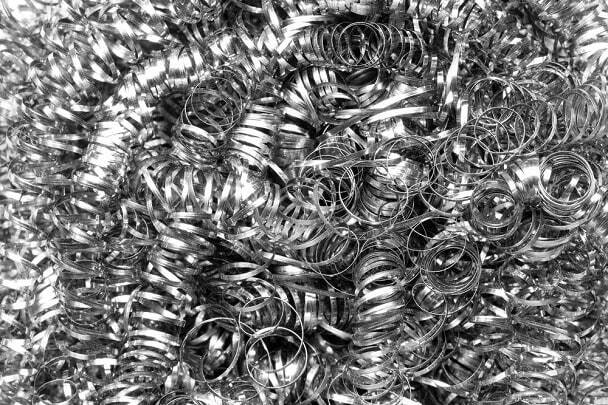 Safety pins are necessary to keep with you in your survival kit as they can mend the clothes and can also repair a lot of gear during emergency situations quickly. It is a best multi purpose item. It can be used to trap fish for food. 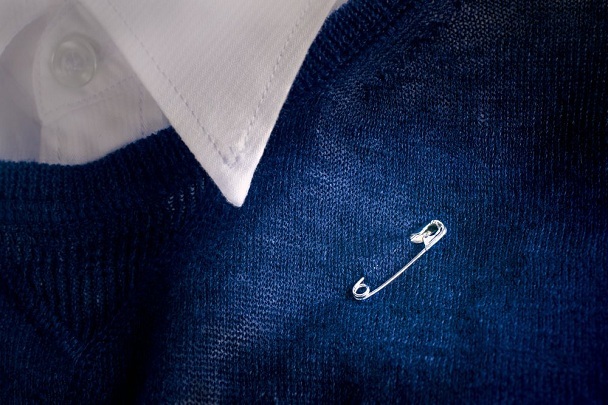 Plus, you can also use safety pins as a first aid tool. 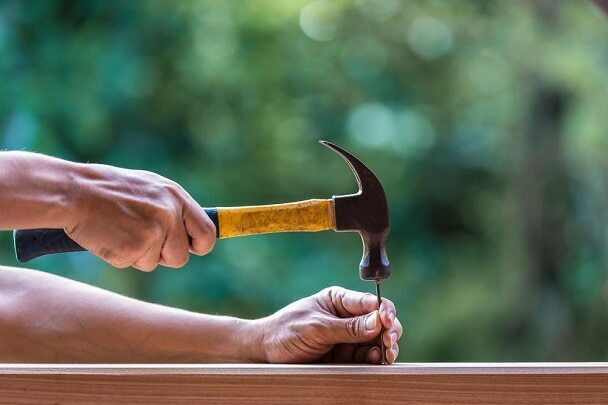 The hammer is one of those items that are extremely useful to add in your bug out gear. Most of the hammer varies in shape, structure, and size. You can choose one according to your choice. 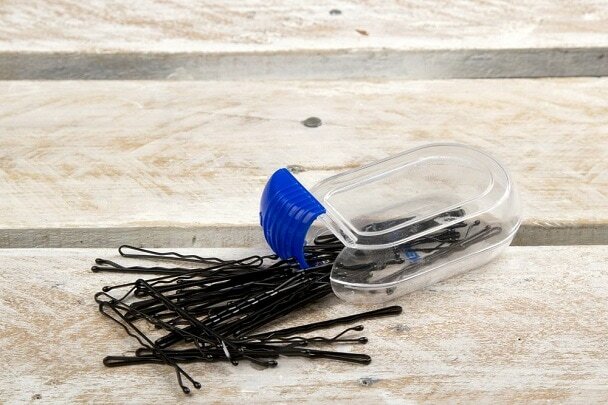 Bobby pins are one of the best survival tools that you should definitely include in your survival kit. You can use a bobby pin for various purposes. You can use bobby pins as a DIY money clip, sewing helper, for open a zip tie, DIY zipper head and much more. Don't forget to add it in your survival bag. The knife is very first and the simplest weapon one can use for the survival, but it is also important to maintain the sharpness of its blade. For sharp blade, you need to add a knife sharpener as well. 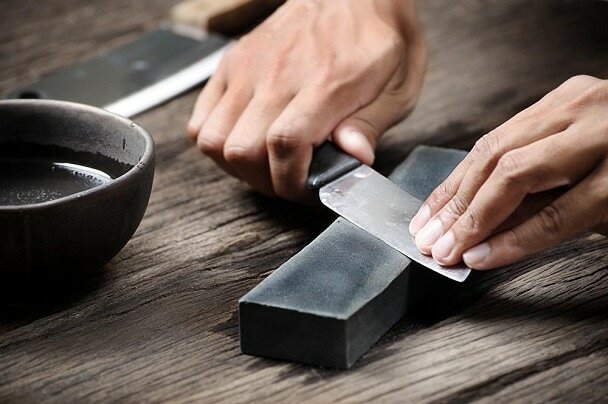 This is how you can use a knife sharpener: insert the blade into the sharpener, put it perfectly into the slot, pass through the knife quickly into the same slot, then repeat the process for maximum 3 times and lastly, rinse the knife. There are many types of Axes, but you have to choose according to your needs. Additionally, it includes high-carbon steel blade, that makes it durable for survival conditions. It is a multi-dimensional tool you can use it for many purposes. It is necessary for cutting larger logs. The saw can handle dry wood perfectly. Saws are available in three types; bow saw, Pocket chainsaw and folding saw. Choose according to your requirements. It is one of the ideal tools to add to the survival gear list. It can easily cut and chop the things. Plus, it can also cut sugar cane and break the coconut. Multi-tools are necessary for many different purposes because it is going to be used on almost every day. 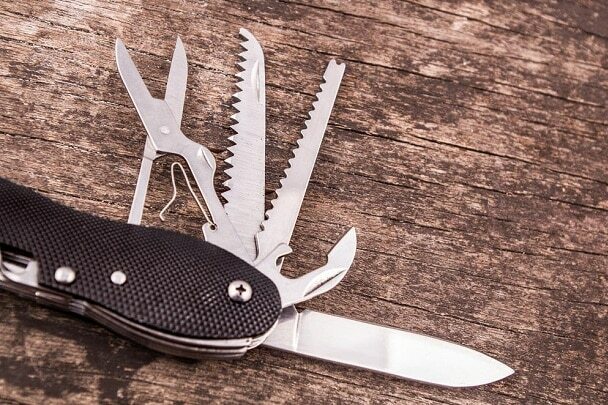 Multi-tools contain the list of a wide variety of features that can be used to resolve multiple issues like cutting, opening the cans, or doing some other creative job. They can be folded easily to make them more comfortable to carry. You can keep the multi tools in your pockets easily. 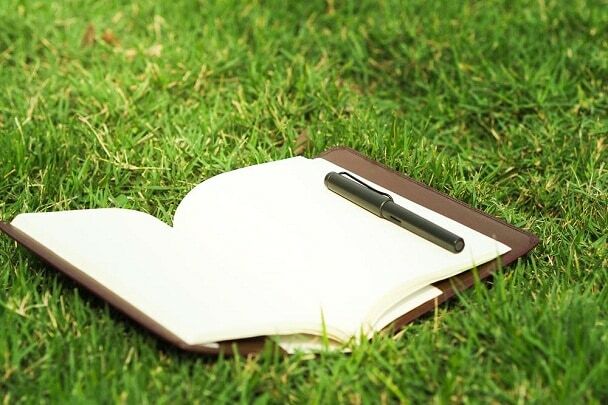 Every survival kit should definitely include a waterproof Tactical Pen and notebook. These two things are great for writing down your traveling plans, trap locations, or you can also leave notes for potential rescuers. Place the pencil and notebook in the small compartment located inside the bug out bag. The needle is necessary to keep in your survival kit because with the help of needle you can mend your tear clothes, sleeping bag, and other gear. The sewing kit is easy to stash in the small inner compartment of the bug out bag. 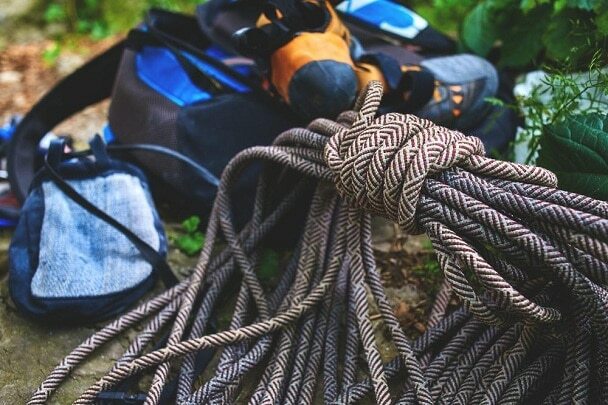 The thread is another important part of the survival tools as it helps you in repairing ripped tent and trap. Plus, it can also provide strong hold to tent or tarp. 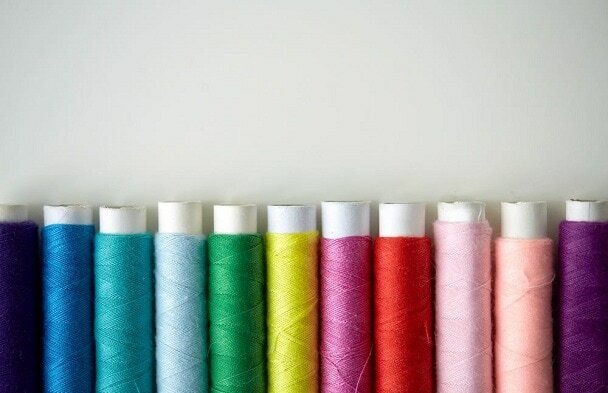 You can also use a thread for many different purposes for repairing clothes and mend backpacks. Scissors are a necessary tool of sewing kit, as it can help in cutting the fabric or cloth perfectly during survival conditions. Plus, you can also cut the thread, sewing patterns, cello tapes, and trims, with the help of small scissors. 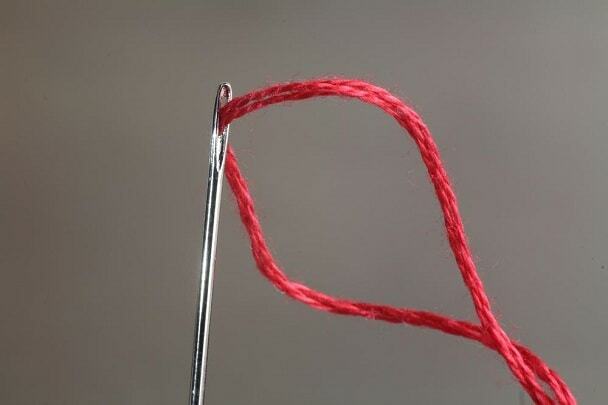 Small scissors allow you to cut the fabric also in a zig zag way. Simply place the small scissors in sewing kit and then adjust the kit in the inner compartment of the bug out bag. The entire list mentioned above is extremely helpful and useful to understand as it can help in managing your survival gear perfectly. The things listed above are essential to carry, so choose wisely. 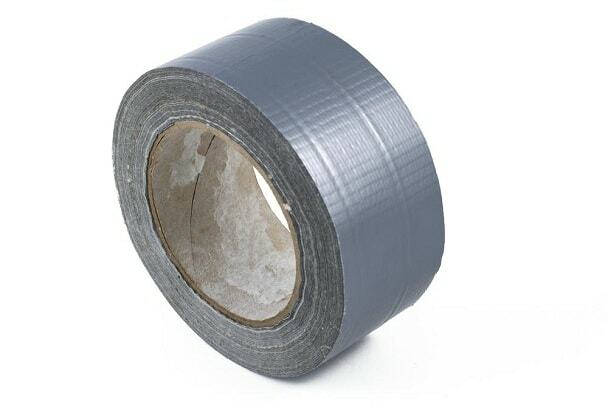 Furthermore, I have mentioned all the enduring items above under the heading of tools for your knowledge, but the most imperative and compulsory items are duct tape, hammer, small scissors, pencil and notebook, axe and survival knife. Illumination is one of the basic necessities so far, that you need so much to survive in extreme conditions. The headlamp is necessary to carry in survival conditions as it is easy to carry and manage while it gives ultra brightness. Always remember that it should be waterproof. It is useful as it provides you long battery life for maximum 120 hours. It provides you bright light. It helps you a lot during the night as it is super bright. The LED light works with greater efficiency. It is best for multi-use. It is most useful for the survival conditions like you can hang it in shelters and camps for light. It is necessary to keep in a survival kit because, in the case of no light, it can definitely help you. 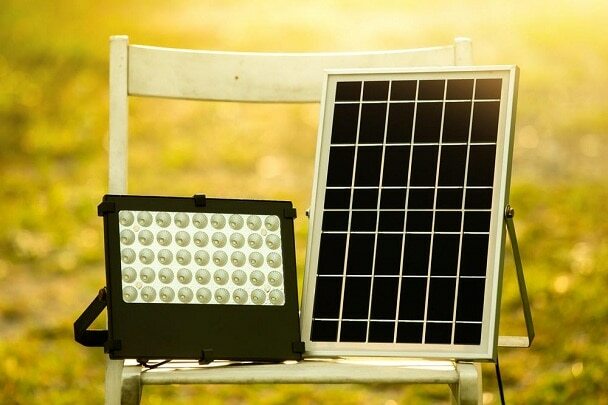 It is a perfect source of emergency light to use for survival. An oil lamp is useful as it can also provide you heat in a shelter in extreme weather conditions. Use good oil for better results. Per hour use: take 1/2 an ounce of oil for the lamp, then take a wick and trim it for the brighter flame. As long as you can keep your wick trimmed, it can provide you good results and keep your lamp bright enough. Extra Batteries are necessary to include in your gear because in the case when your batteries get expired, you can use new ones to light your flashlights etc. The life sticks are basically designed for emergency situations. Every light stick can last for maximum 15 hours. They are available in both orange and green color. To use it, all you have to bend it, snap it and thoroughly shake it for bright light. It is made up of polypropylene. Plus, it is non-flammable and non-toxic. All the five items that are mentioned above are effective to use. But it is not possible to keep all in your bug out bag. 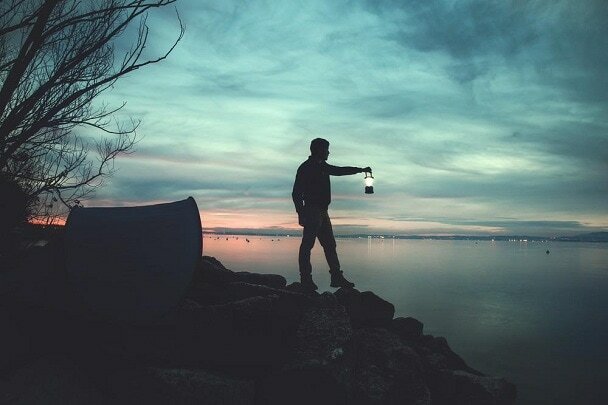 So make sure to add these most useful items: headlamp, mini LED light, survival batteries and oil lamp, as they can provide you the illumination source in dark nights. In survival conditions, it is important to defend yourself from animals and many other harmful situations. Make sure to prepare yourself to fight against all the emergency situations, because weapons are something that you should definitely give serious consideration. Your very first priority during preparing yourself for survival should be self-protection. It is necessary to defend yourself while someone attacks you. It is extremely comfortable to carry. You can use it in almost all circumstances. 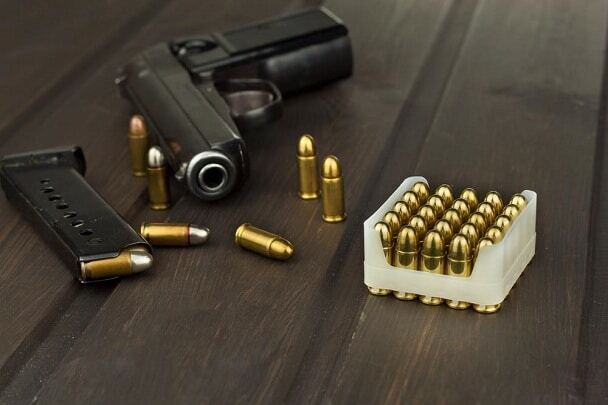 9mm is the best handgun because of its larger magazine. A good weapon is must have by your side in extreme situations as an emergency preparedness tool. You can keep it in the gun holster attached with your belt. 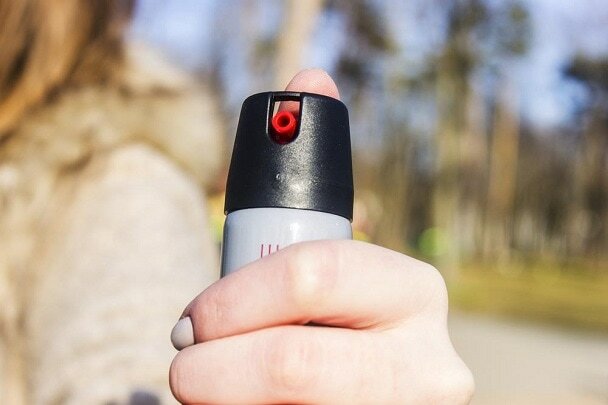 It is important to keep pepper spray in a survival kit because it is the best tool to use in an emergency situation as it can cause intense irritation in the membrane tissues plus, it can cause a stinging sensation in the eyes and on the body. It can also lead towards temporary lack of vision. All the survival conditions vary as well as all the tasks related to your survival weapons. You can use this rifle for self defense as well as for hunting the animals to arrange the food in emergency conditions. The new version of the rifle can easily break down into components and gets adjusted into the large compartment of the bug out bag. The shotgun is the best weapon to use for defense, you should definitely include it in a survival kit. 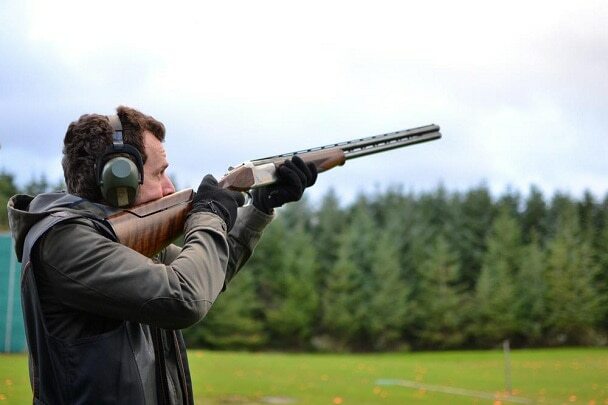 The shotgun is also essential to use for hunting purposes. It is a cheap yet most useful way to let other people know about your location during emergency situations. 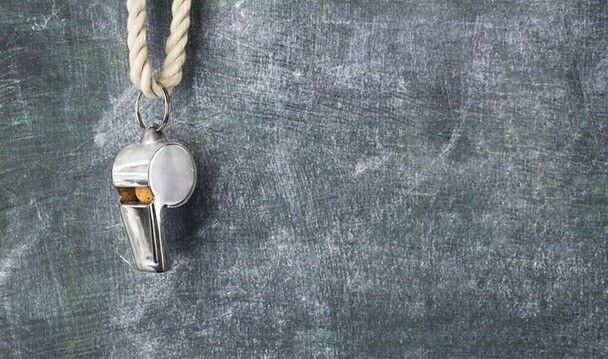 You can attach the emergency whistle with your key-ring so that you can easily use it. It is necessary to include good and effective ammunition in your survival gear because it can help you in bad conditions. Plus, ammunition is important for your self-defense as well. You can also use it for hunting etc. You can place the ammo box in the inside pocket of the bug out bag. It is necessary to use it for survival tasks like; putting clothes on the line or you can also use it for hanging a bear bag. Additionally, you can also use it for climbing the small mountains. I have listed some of the most helpful and important items above just for your convenience. But the most important and highly recommended items are a handgun, pepper spray, shotgun and survival rifle, that you can use in extreme circumstances. Moreover, if you want to add more, then you can surely choose according to your needs otherwise you will never go wrong with all these protections and self-defense weapons. Survival Fishing Kit is one of the essential things to include in the bug out bag for survival conditions. 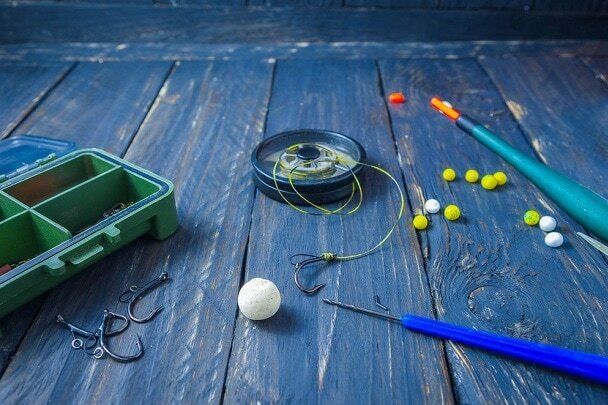 It is necessary to keep in a fishing kit because it can work for a wide variety of species in all conditions. It is very much useful to catch fish. 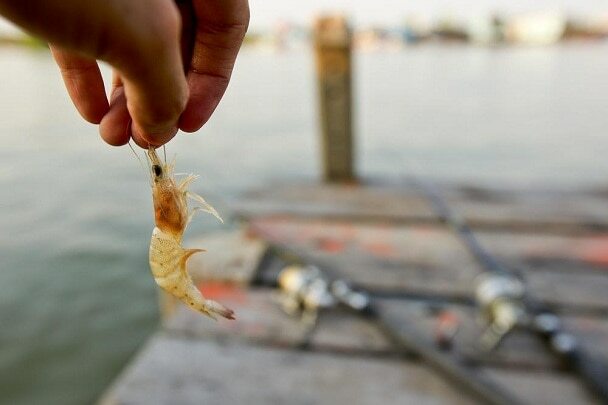 It is simple to use, attach the bait to the fishing rod to catch fish. 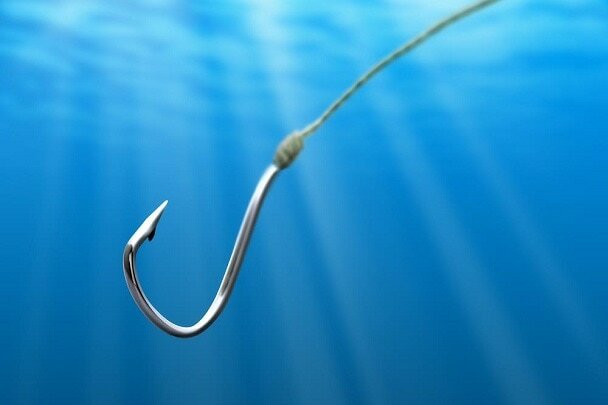 The fishing hook is necessary to keep as a survival gear. It is one of the utmost important tools for fishing. So don't miss to add it in the fishing kit. The fishing kit is necessary to use during survival conditions as it can help you in gathering food. All the above-mentioned items are essential for fishing, but the most important ones are a fishing hook, bait, and a fishing leader. One of the essential things that people always forget to add while planning a bug out bag is the copies of important documents. Keeping all the important copies in your bag is extremely useful in case you need to prove who you are or for many other purposes as well. 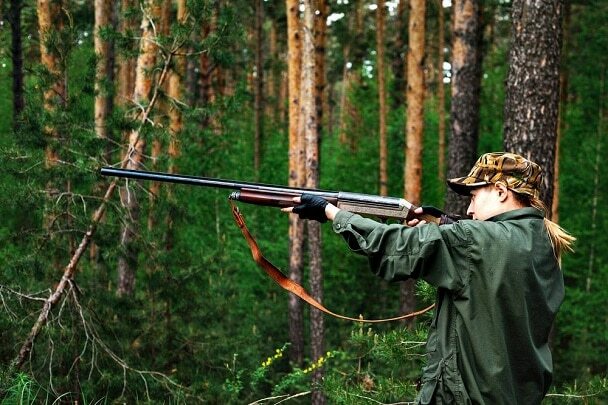 It is necessary to get hunting permits as it allows you to do the hunting in open areas or to do the non-commercial hunting of goats, wallabies, pigs, and deer. Place them in a file properly, then keep them in the large compartment inside the bug out bag safely for emergency use. It is extremely important to keep it with you. 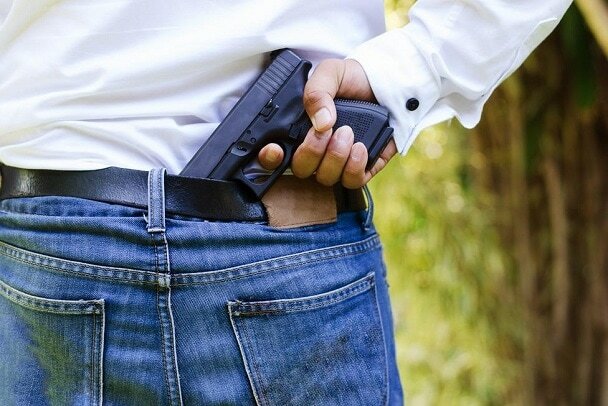 It is necessary to keep a gun permit document in your bag because it makes carrying and using of guns easy for you on adventures or in survival conditions. 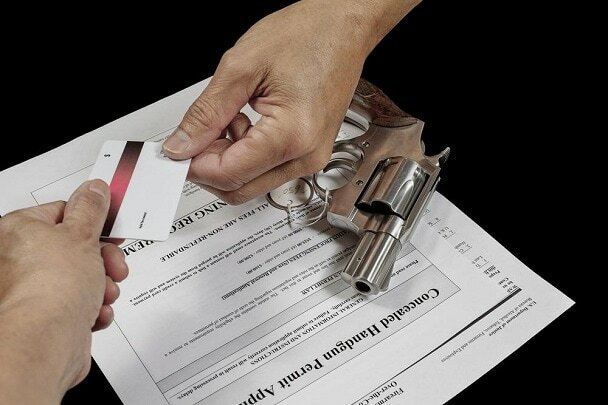 Plus, it also makes the purchasing of weapons easy for you. 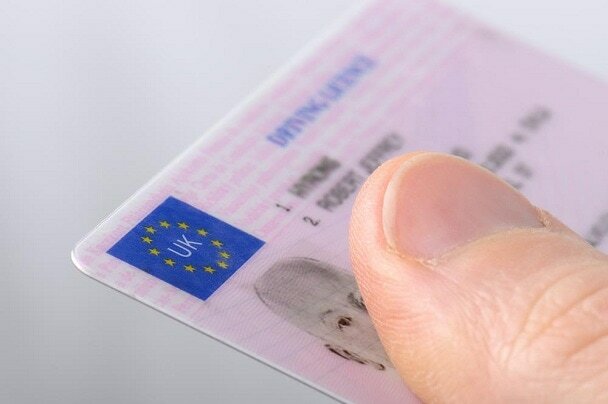 It is necessary to keep with you because it is a legal document that proves, you are allowed to drive vehicles on public roads. Plus, it also proofs that you are trained in driving. Keep it with all other documents in the inner compartment of the bug out bag. 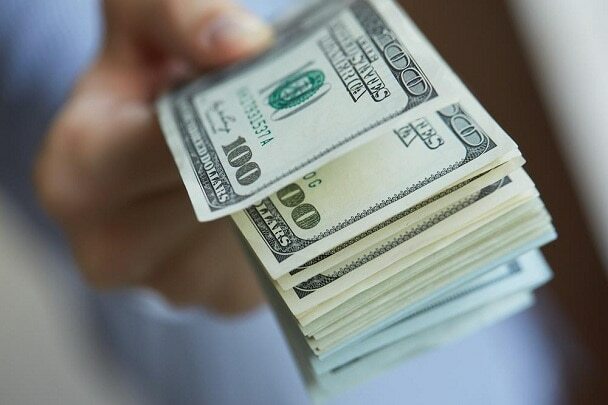 It is necessary to keep cash in the bug out bag as it allows you to do last minute shopping, to buy a gallon of gas for emergency situations, and for many other reasons. Place cash in the inner pockets of the bug out bag. Don’t miss any of these above-mentioned documents as all of these are essential to keep in the bug out bag. 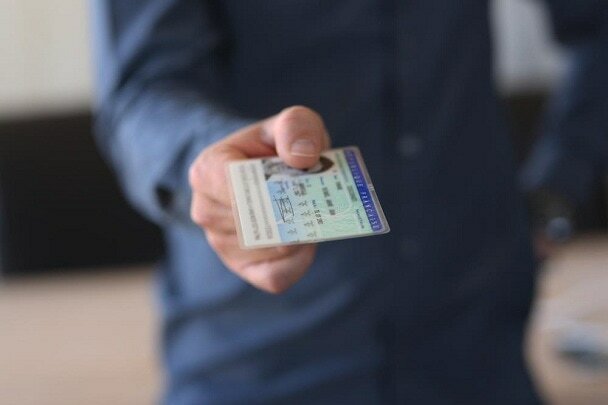 Moreover, all the items that are listed here are highly beneficial, but the most important ones are an identity card, hunting permit, cash, and driving license as these essentials may help you in an emergency. All the aforementioned information will definitely help you in survival conditions. Make sure to consider each and every essential item mentioned above before packing your bug out bag because all the products or items mentioned in this article are extremely useful, helpful and most culminating to use. However, if your dog is also with you then take a look at B﻿rian ﻿G﻿reen guide. I have tried my best to list all the essential survival gear to guide you, now choose wisely according to your needs and requirements. Additionally, plan the bug out bag in such a way that place important things at the top and less important towards the bottom side of the bag. Use all the large and small compartments of the bag to adjust essential things as the emergency preparedness tools.